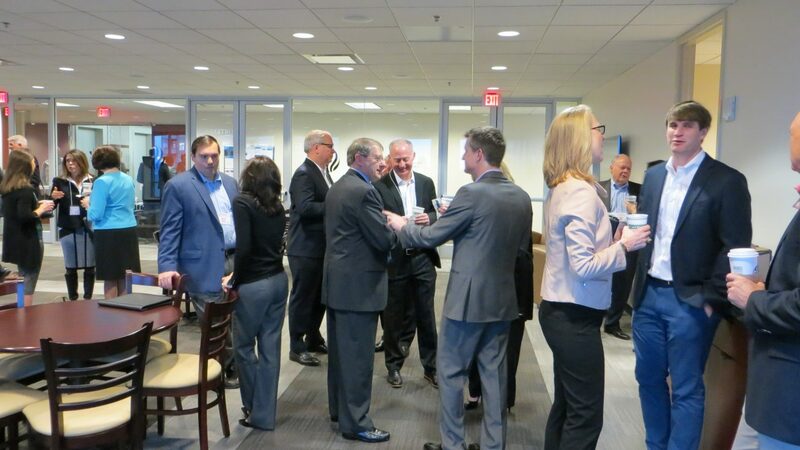 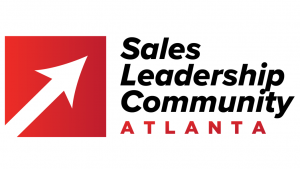 Below is information about previous Atlanta Sales Leadership Community meetings including dates, topics, panelists, audio recordings and photos. 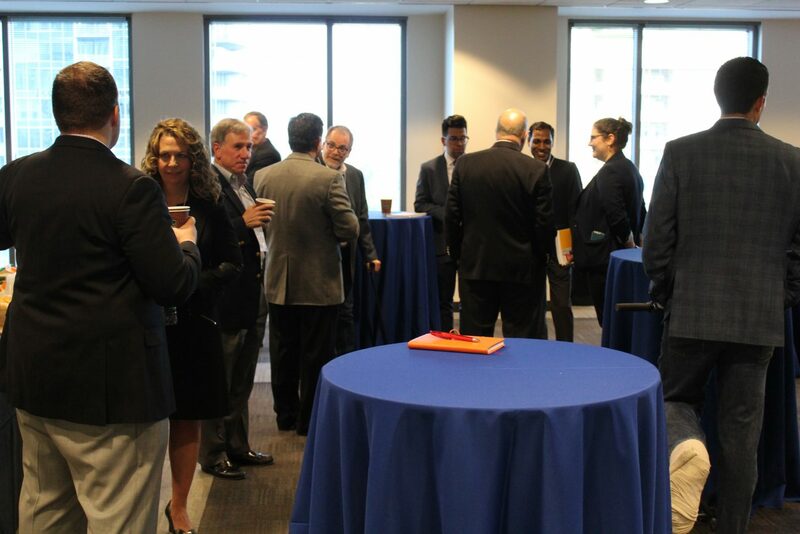 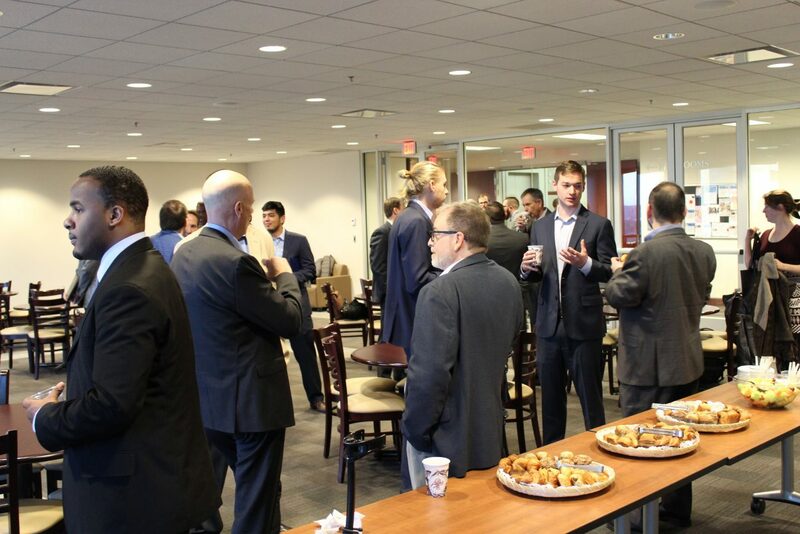 Each meeting includes breakfast, networking, panel discussion on a sales leadership topic and questions from the attendees. 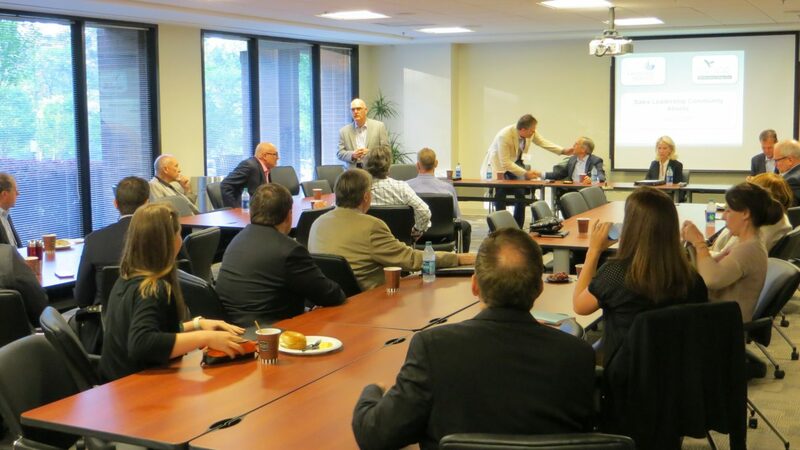 In almost every Sales Leadership Community meeting that we have, the topic of early talent comes up. 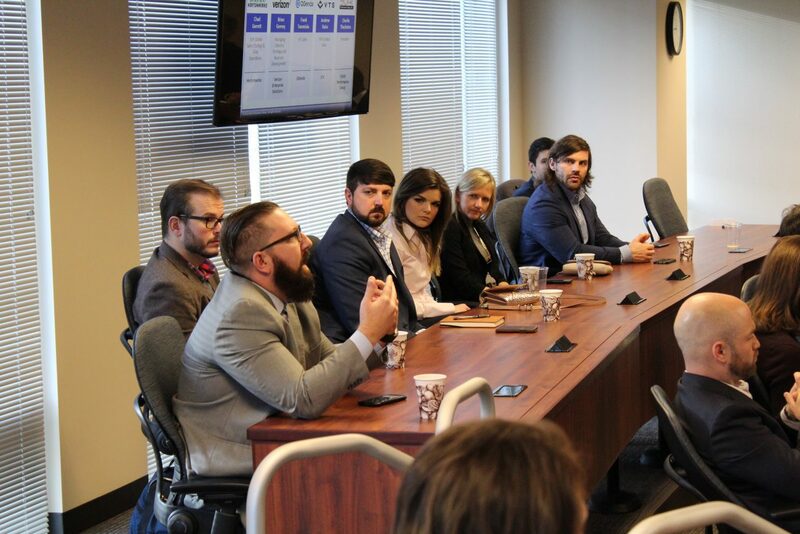 In your view, why is this such a hot topic? 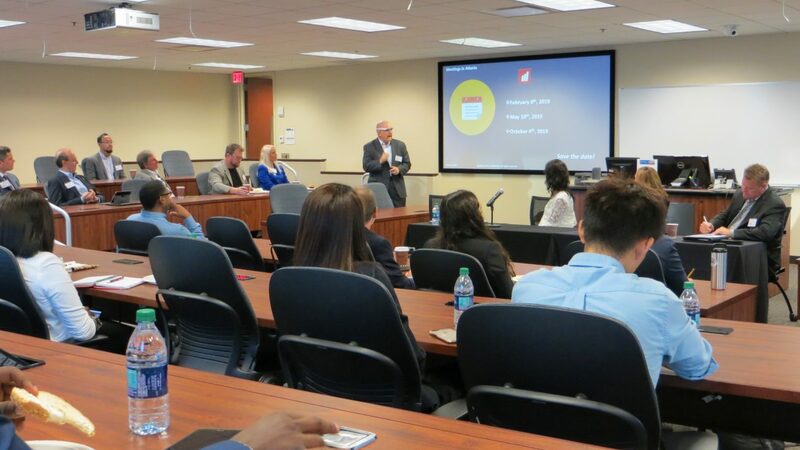 What are the top things that organizations should be doing to better attract recent graduates into their organization? 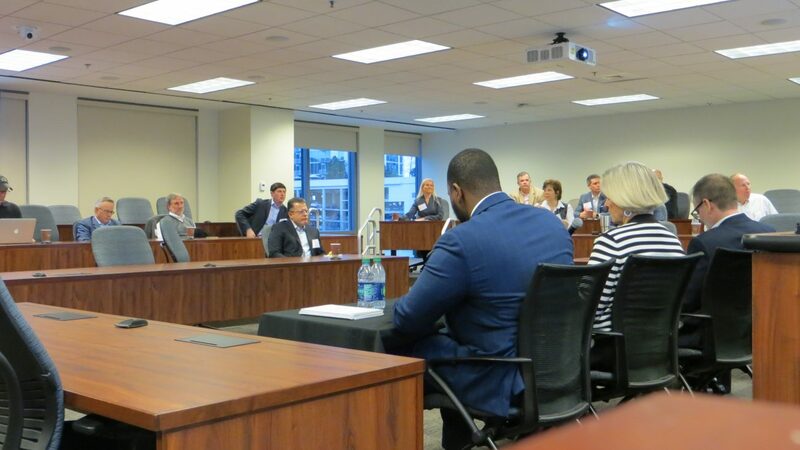 Just as importantly, what are the top things that sales organizations can do to retain early talent? 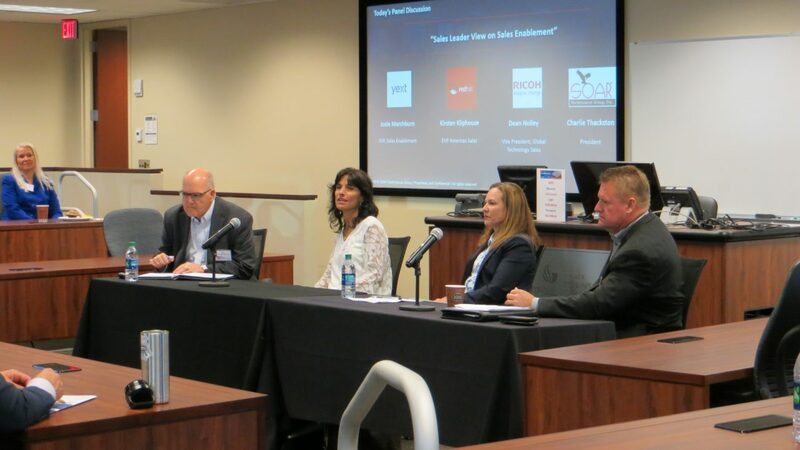 This is a topic that really spans multiple groups within an organization – HR, Sales, Sales Enablement – who should ultimately own this topic? 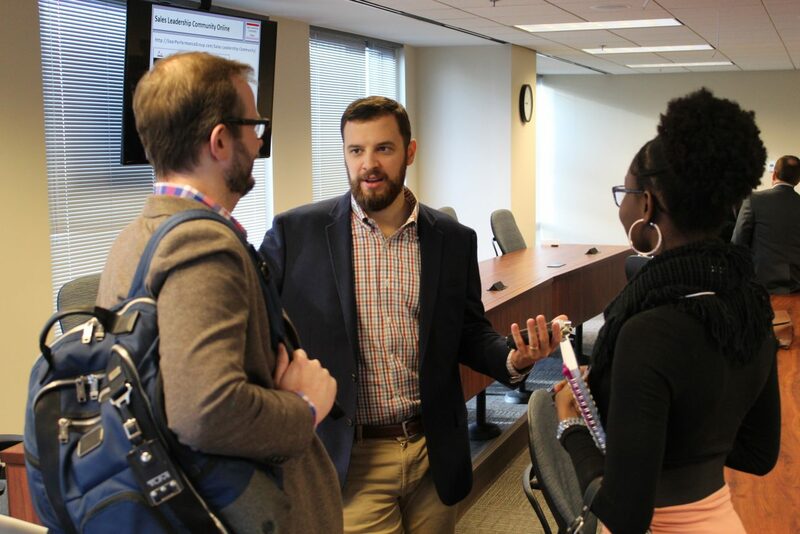 What kinds of things should organizations be considering to make sure that recent graduates are productive as quickly as possible? 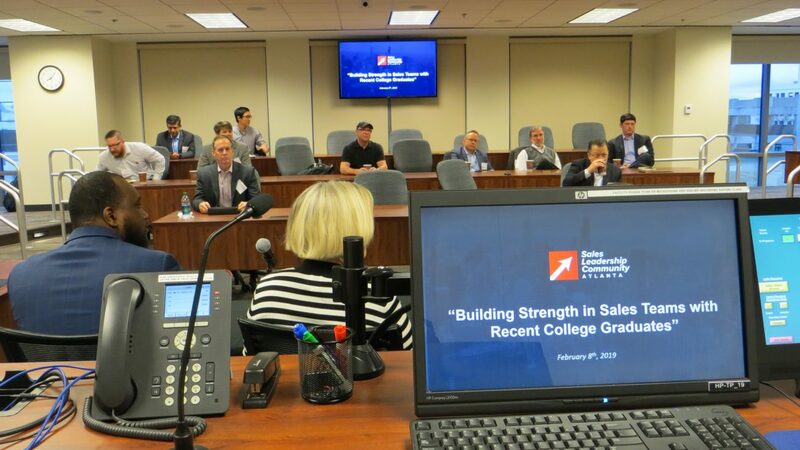 What are the top mistakes that you see organizations making in their efforts to build their organization with recent college graduates? 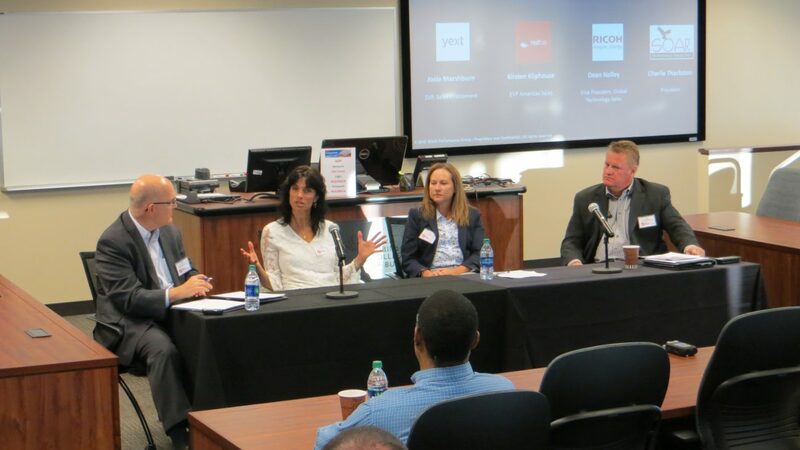 What would be your advice for an organization that is early in their efforts to integrate recent graduates into their organization? 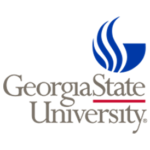 Finally, thank you to our hosts for the meeting, Georgia State University. 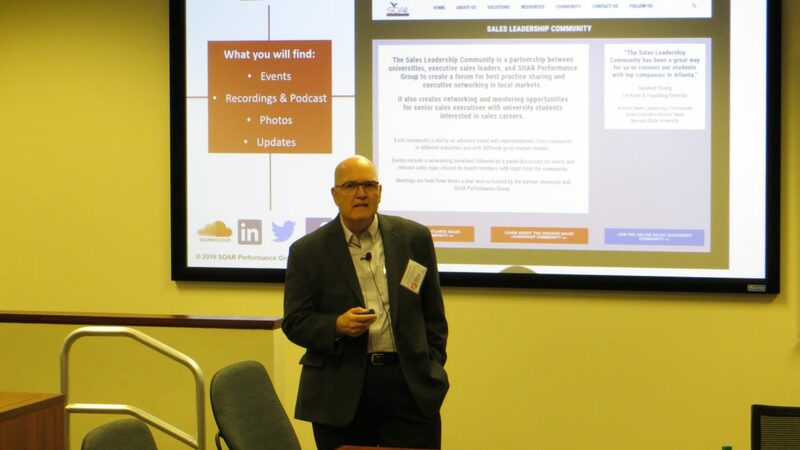 How is customer decision making changing in your market? 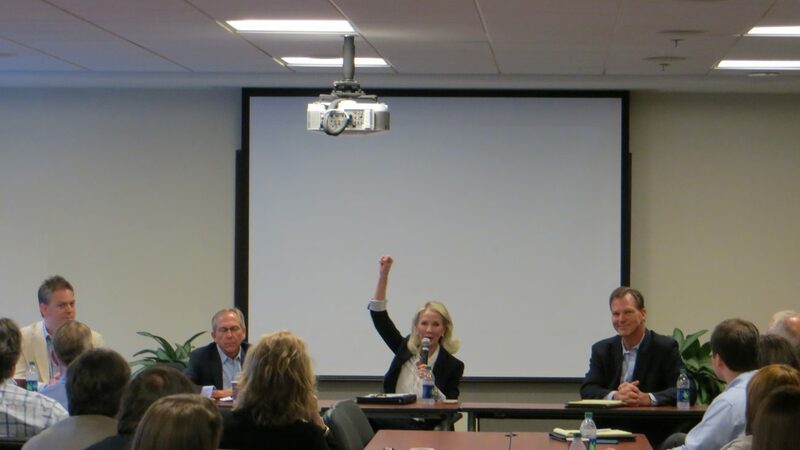 Who is involved in purchasing decisions how that wasn’t 5 or even 3 years ago? 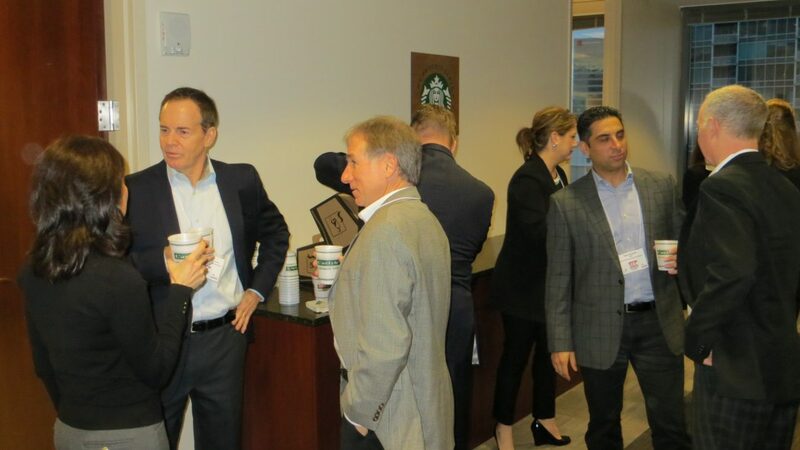 How are these changes impacting your sales team? 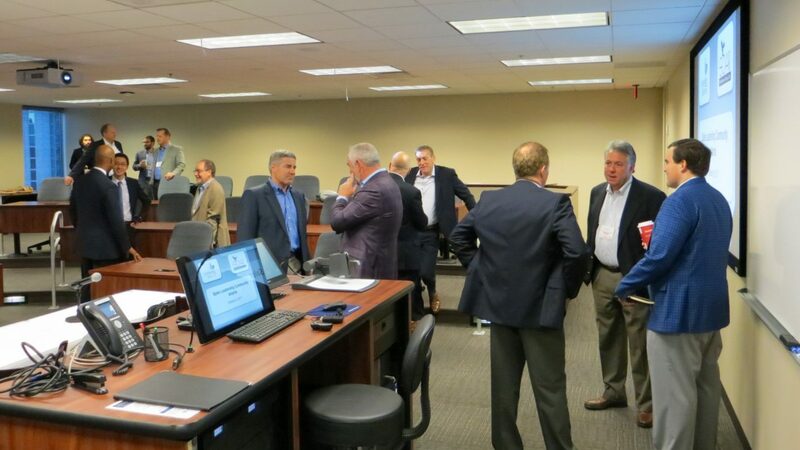 What kinds of initiatives are you putting in place to deal with these changes in decision making? 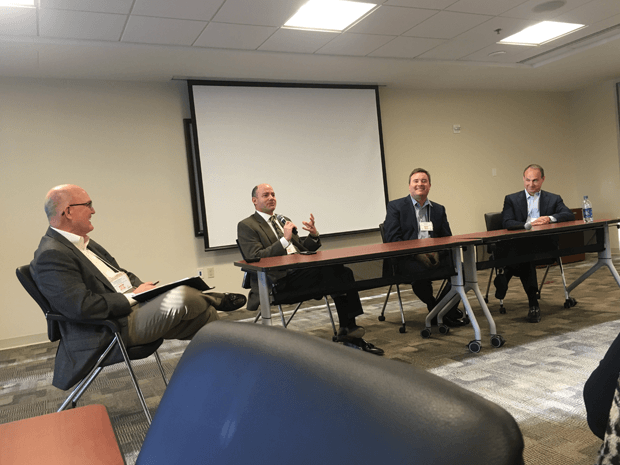 What are some of the pitfalls or ‘gotchas’ that you would suggest other sales leaders watch out for as they deal with changing decision making processes? 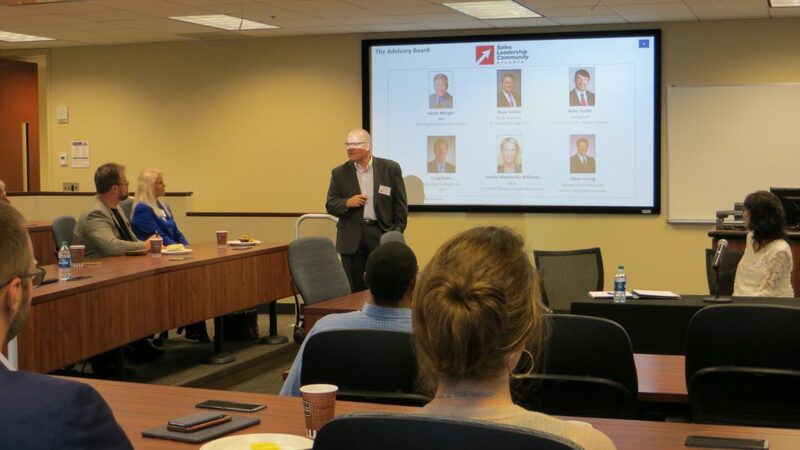 How are you tailoring your sales experience to deal with new and changing stakeholders in the decision process? 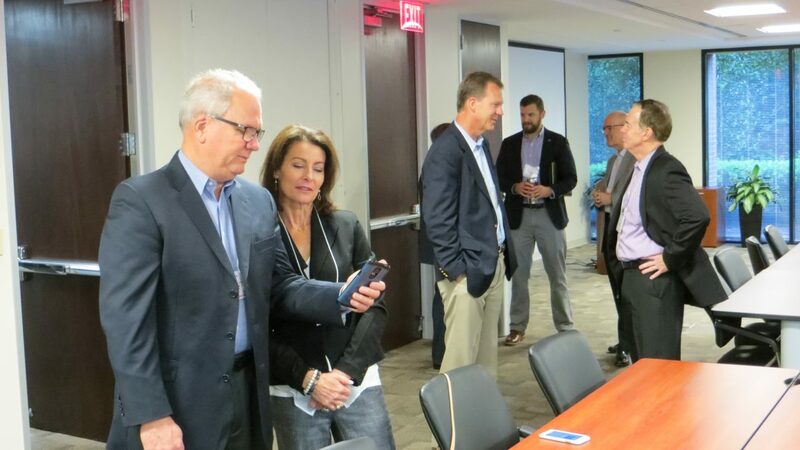 Thinking about the generational make-up of your sales team, how has it changed from 5-10 years ago? 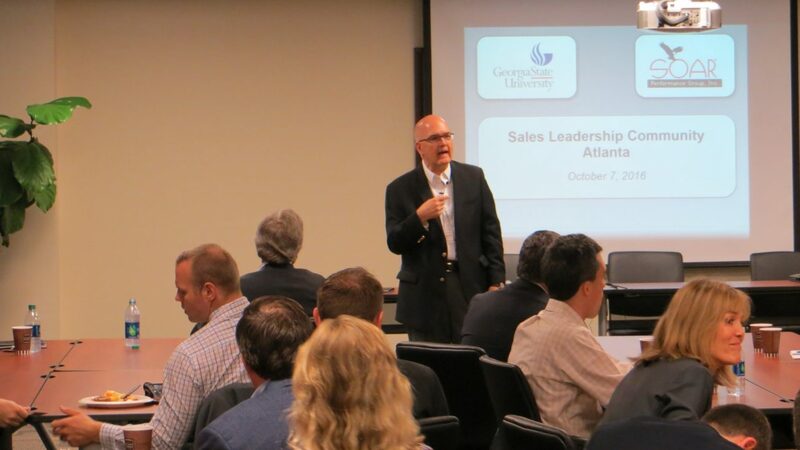 What has been the impact of these changes on your role as a Sales Leader? 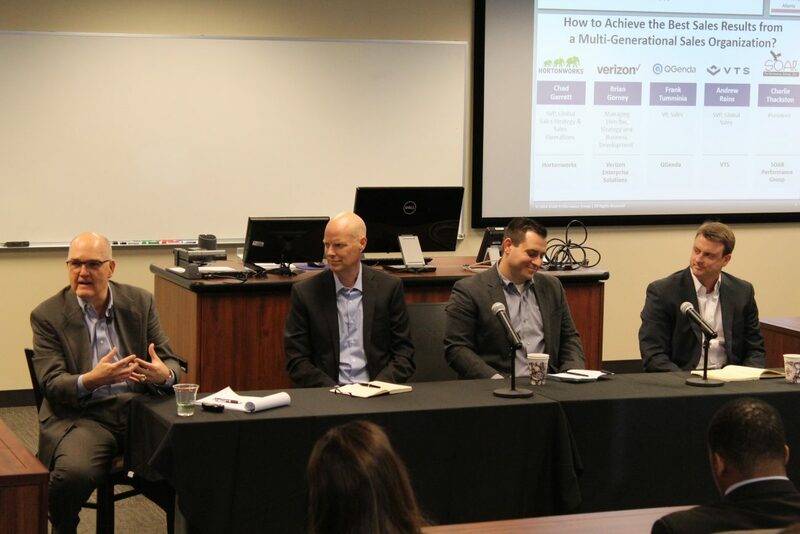 How are you leveraging each generation’s skills and strengths to enhance your overall selling efforts? 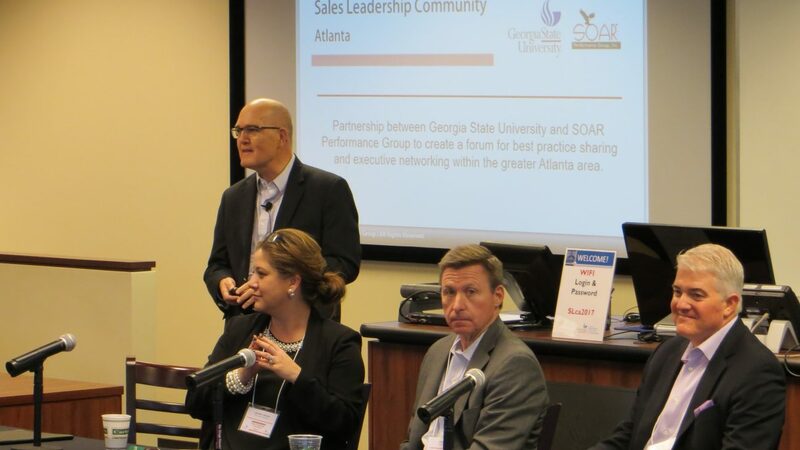 What types of approaches have you deployed to achieve the best results with your sales team? 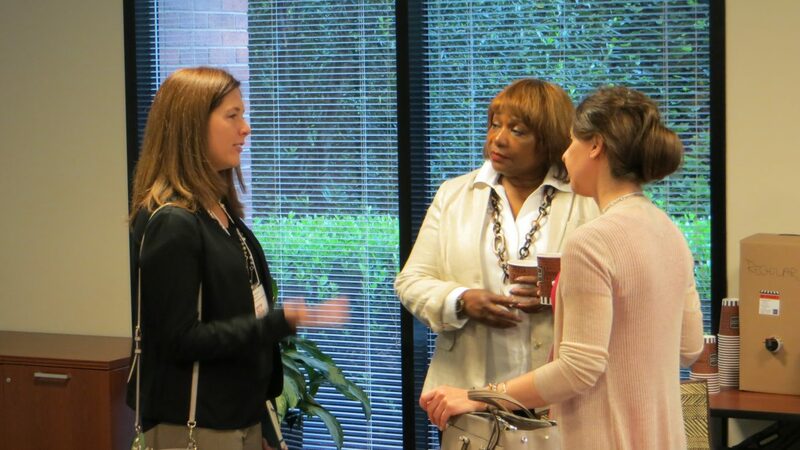 What advice would you give to others on how to best address similar changes within their sales team? 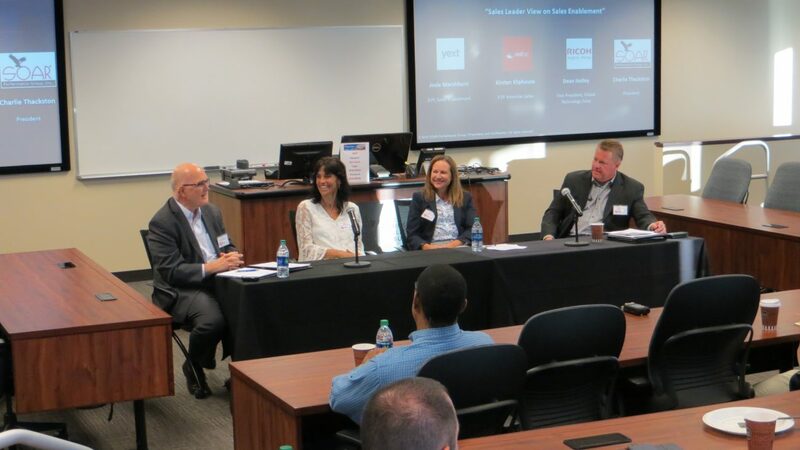 How do you see technology helping improve the customer buying experience? 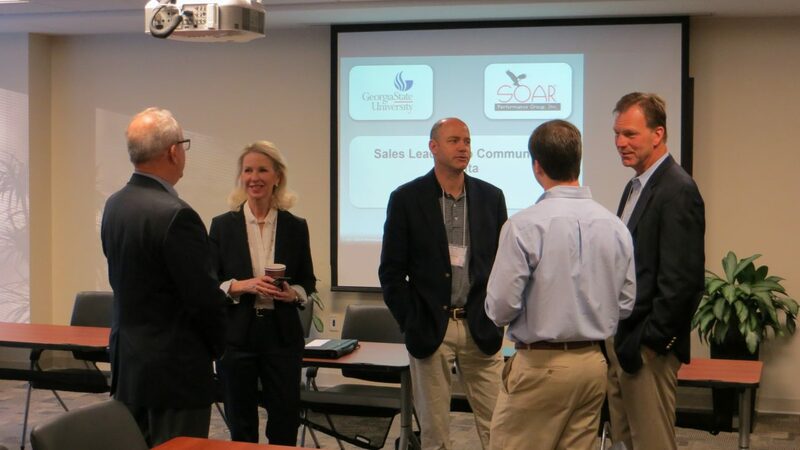 How are the changes impacting the sales teams and sales roles in your organization? 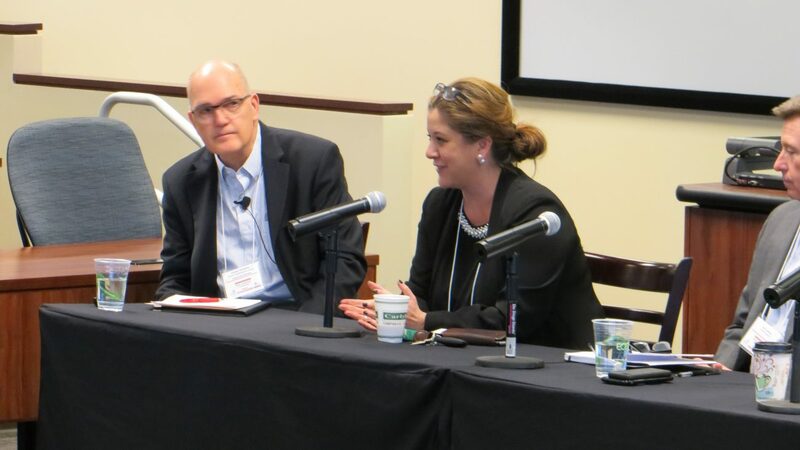 Have you seen openness in the sharing of data across sources with the intent of improving the buying experience? 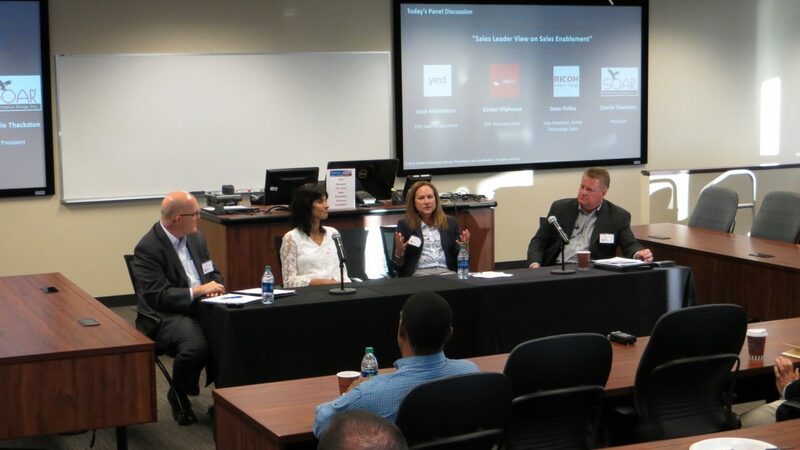 What are some of the hurdles you have seen in using technology to improve the buying experience? 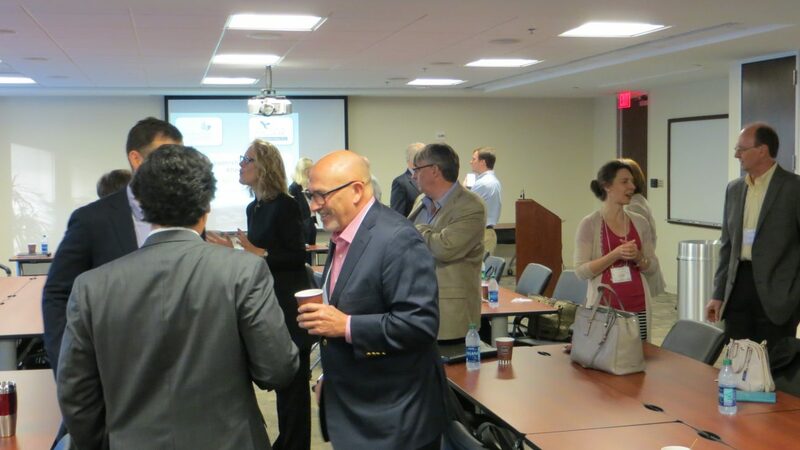 How do you lead your teams so that technology becomes an enabler versus a detractor? 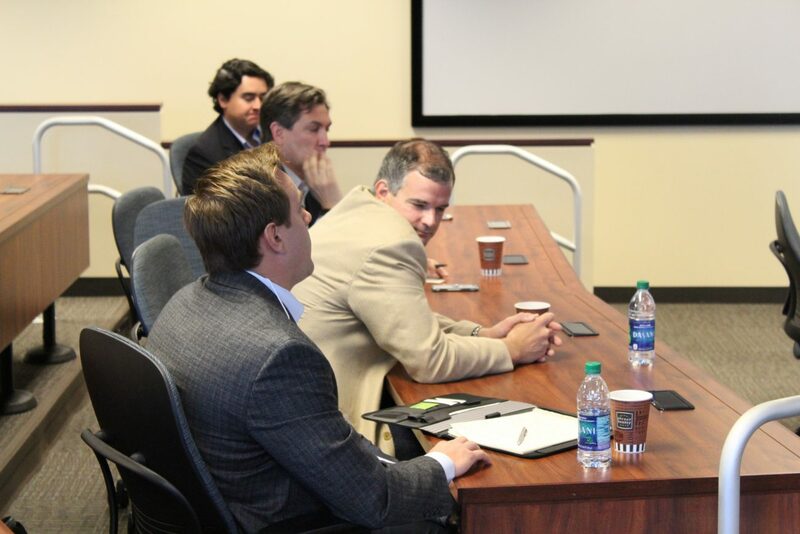 How are using technology to engage with multiple decision makers during the sales cycle? 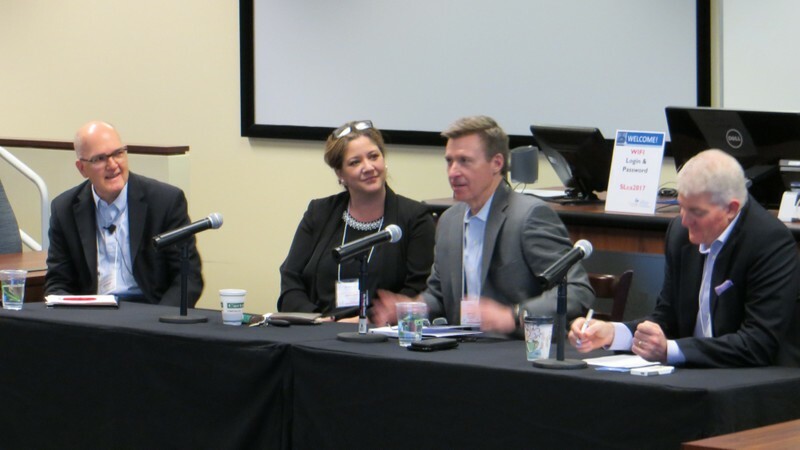 Are you using account-based marketing as part of your customer engagement? 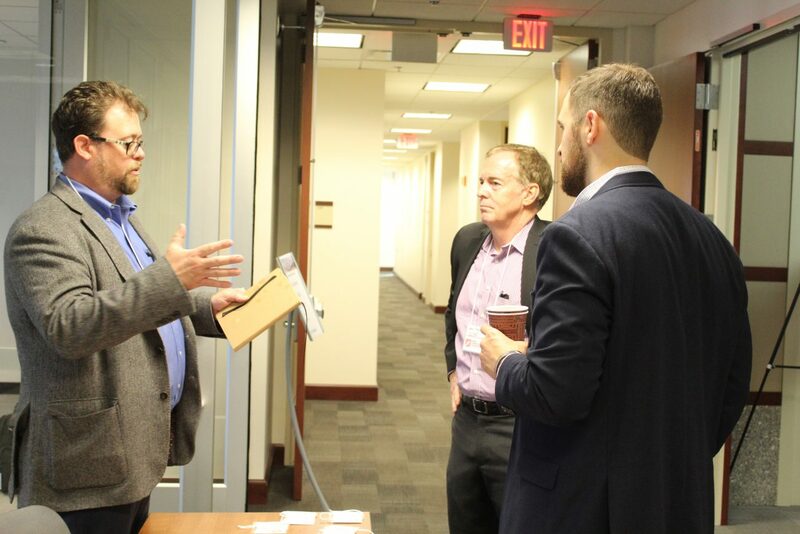 What is on your wish list of technologies that could help improve customer buying experience? 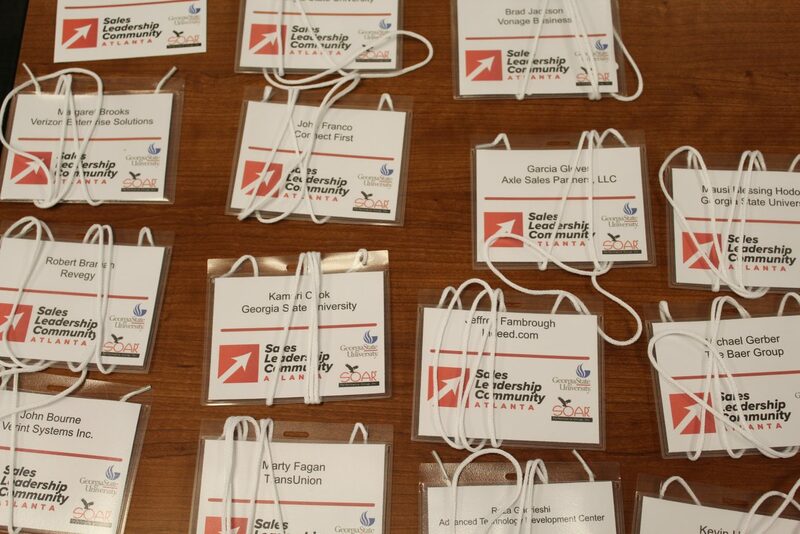 How has your staffing changed within your sales organizations? 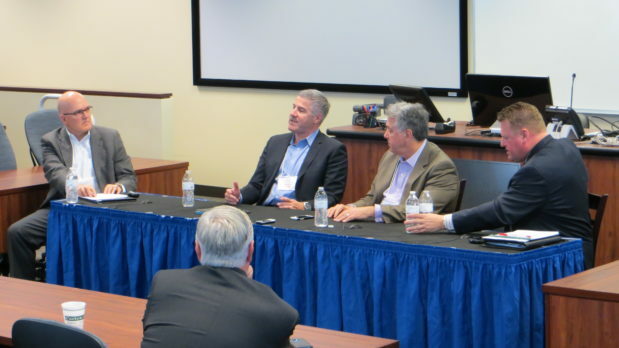 How do you respect customer’s privacy in the use of technology? 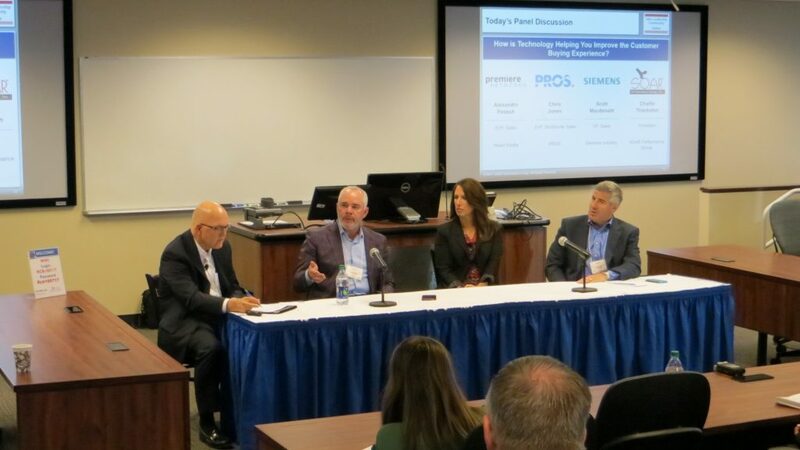 What are you emphasizing with your sales teams about using technology to help your customers? 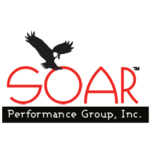 Charlie Thackston (President of SOAR Performance Group). 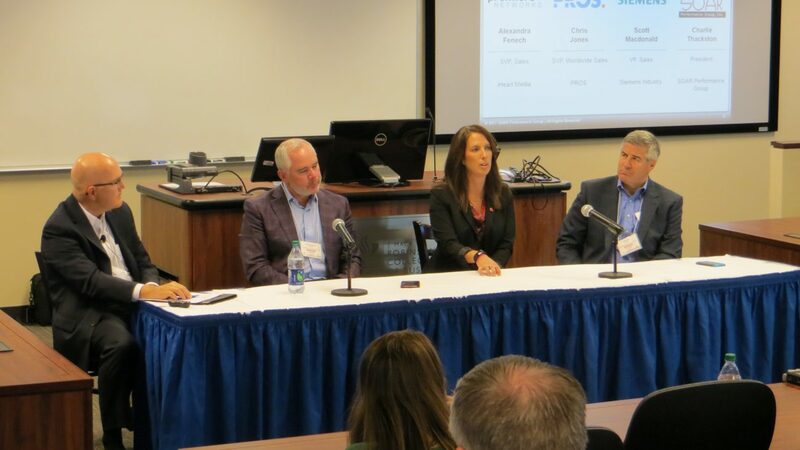 Panelists Derek Grant (SalesLoft, Vice President, Commercial Sales), Jim Hunter (Emerson Retail Solutions, Vice President, Sales), Sophia Weatherby Williams (NCR, Telecom and Technology Division, Vice President and General Manager) and Craig Potts (Sphera Solutions, Chief Revenue Officer) discussing a question about how sales leaders are attracting, developing, and retaining the right sales talent posed by moderator Charlie Thackston (SOAR Performance Group, President) at the Atlanta Sales Leadership Community meeting on April 21st, 2017 at the Northcreek Conference Center. 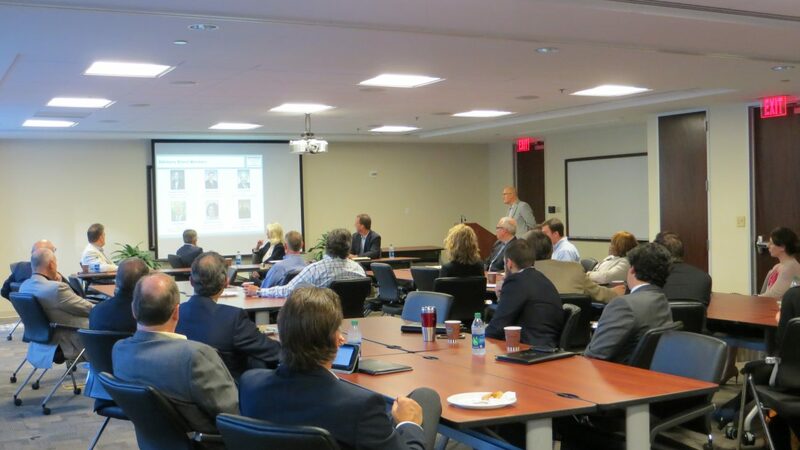 Thank you to everyone that attended the meeting. 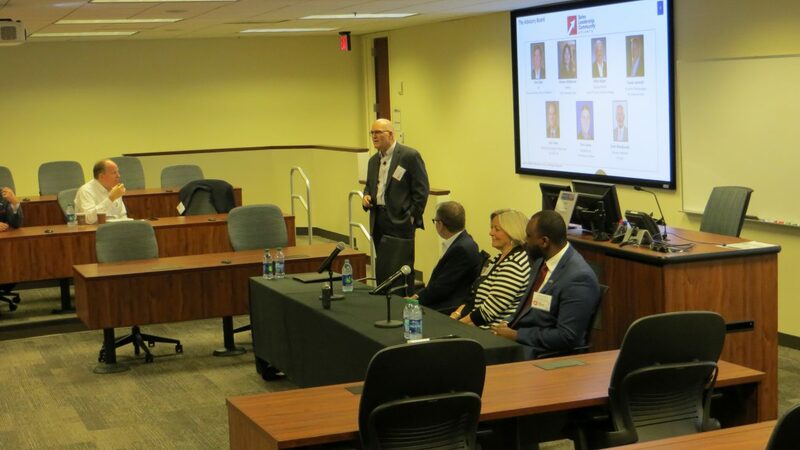 Special thanks also to our panelists that provided valuable perspectives and advice on attracting, developing and retaining the right sales talent. 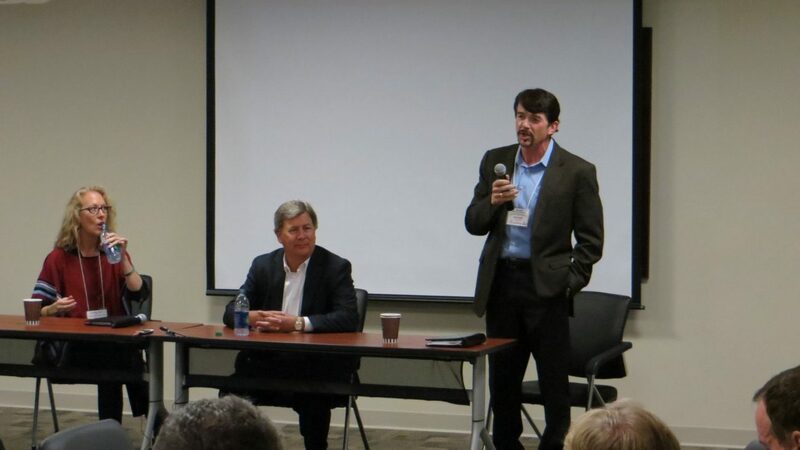 Lastly, great questions and comments from the audience during the open Q&A. 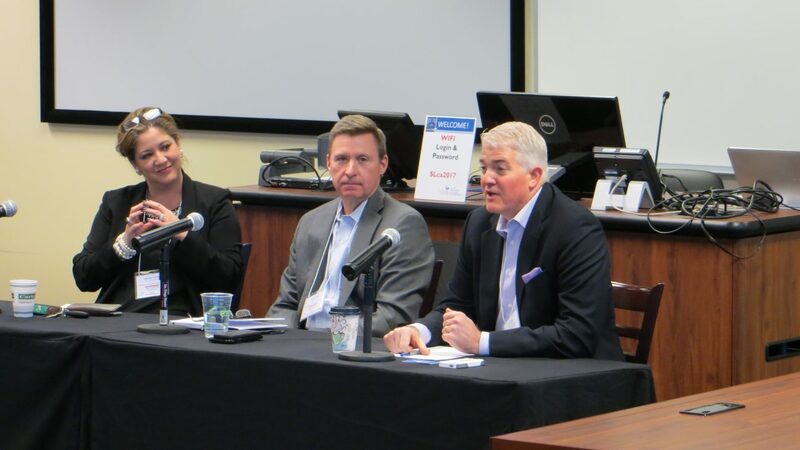 Panelists Jennifer Garrett (Senior VP, National Sales for Cox Communications), Jim Cullinan (Vice President, Marketing, Sales and Business Development for Kaiser Permanente), and Mike Hayes (Senior VP, Sales and Sales Strategy for Georgia Pacific) discussing a question about how sales leaders are addressing changes in customer buying behavior posed by moderator Charlie Thackston (President of SOAR Performance Group) at the Atlanta Sales Leadership Community meeting on February 3rd, 2017 at Georgia State University’s Buckhead Center. 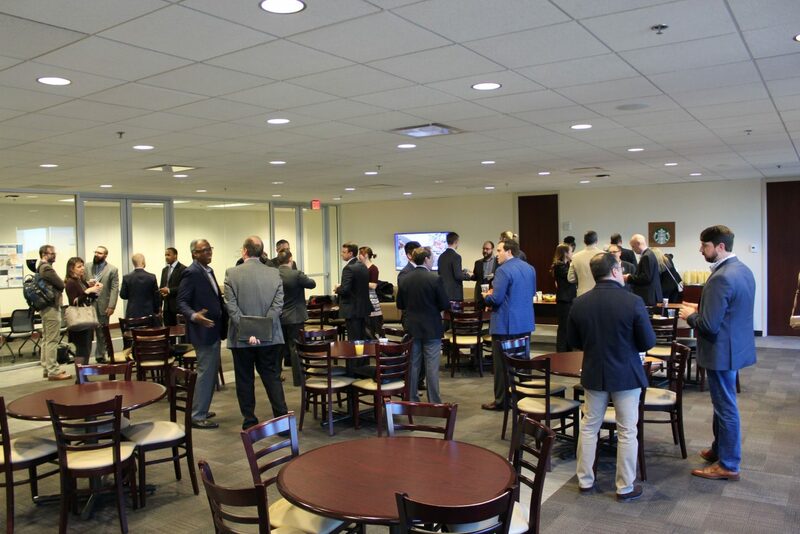 Thank you to everyone that attended the meeting. 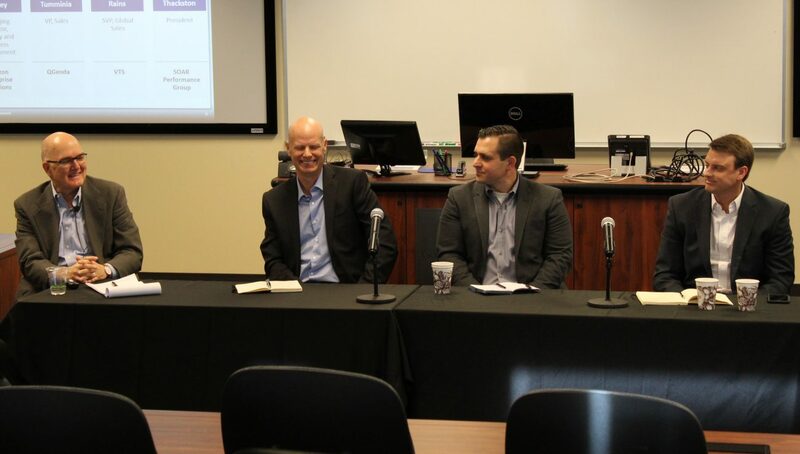 Special thanks also to our panelists that provided valuable perspectives and advice on changing customer buying behavior. 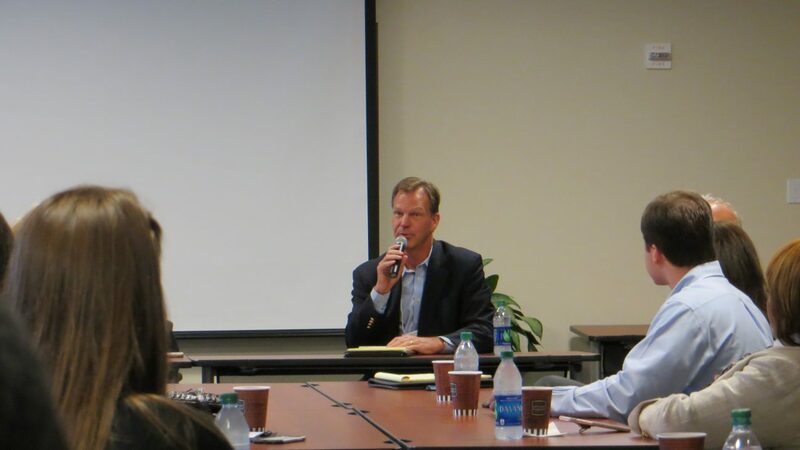 Some great questions and comments also from the audience. 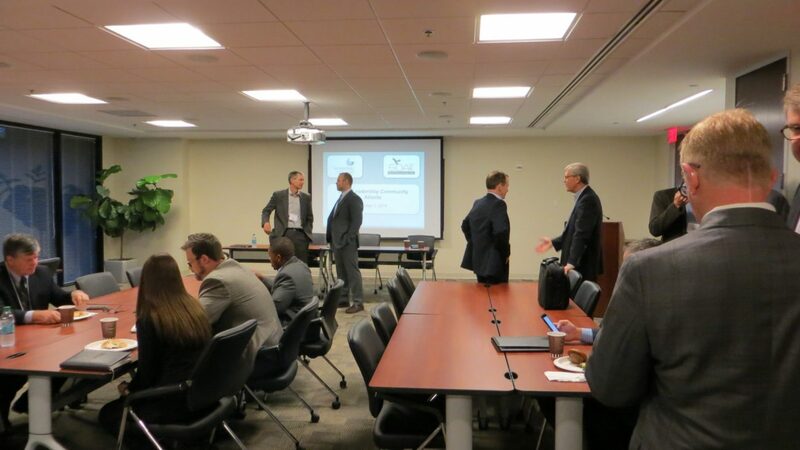 Learn more about the meeting here. 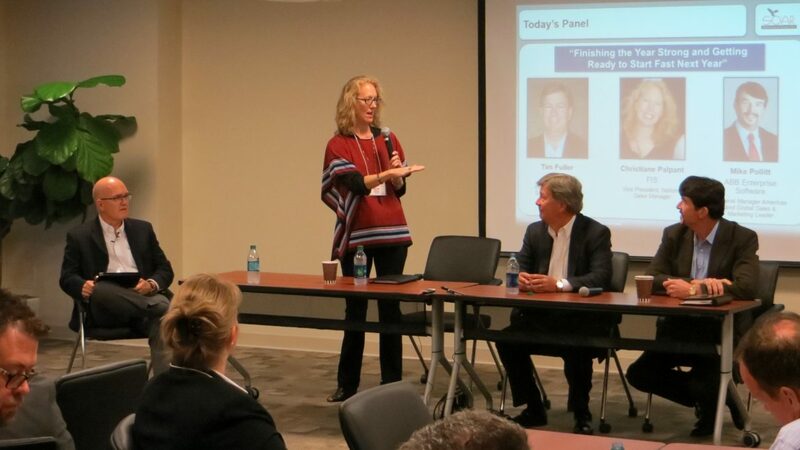 Panelists Christiane Palpant (Vice President, National Sales Manager for FIS), Tim Fuller (Executive Director, SAP Go-To-Market for EY), and Mike Pollitt (General Manager Americas and Global Sales & Marketing Leader for ABB Enterprise Software) discussing a question about finishing the year strong and getting ready to start fast next year posed by moderator Charlie Thackston (President of SOAR Performance Group) at the Sales Leadership Community Atlanta meeting on October 7th, 2016 at the Northcreek Conference Center. 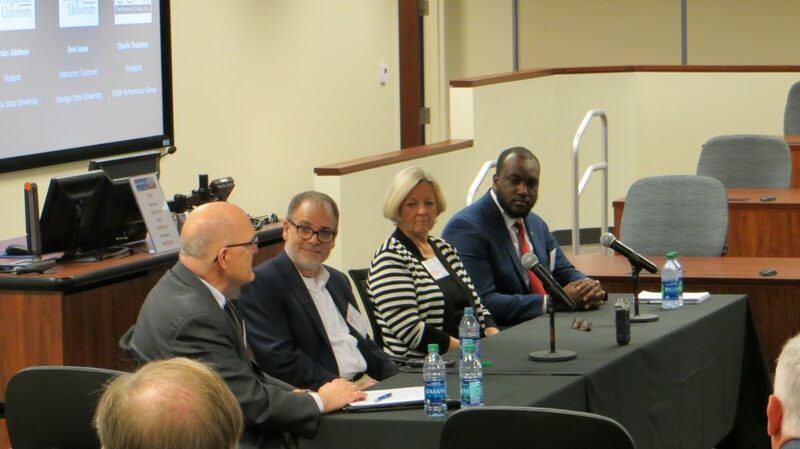 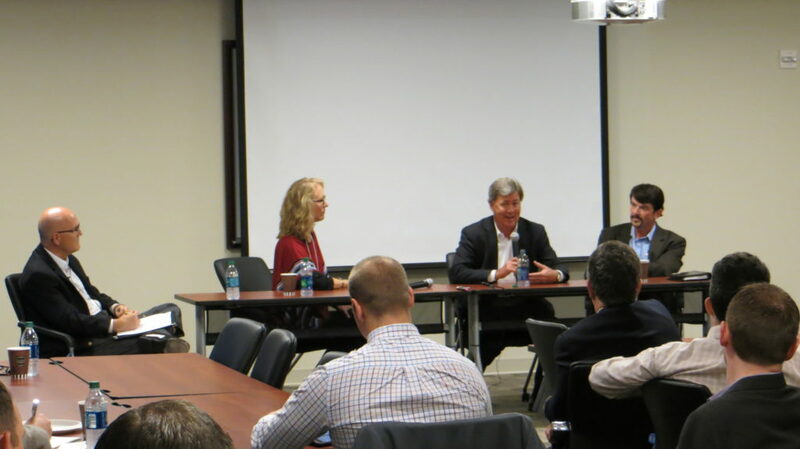 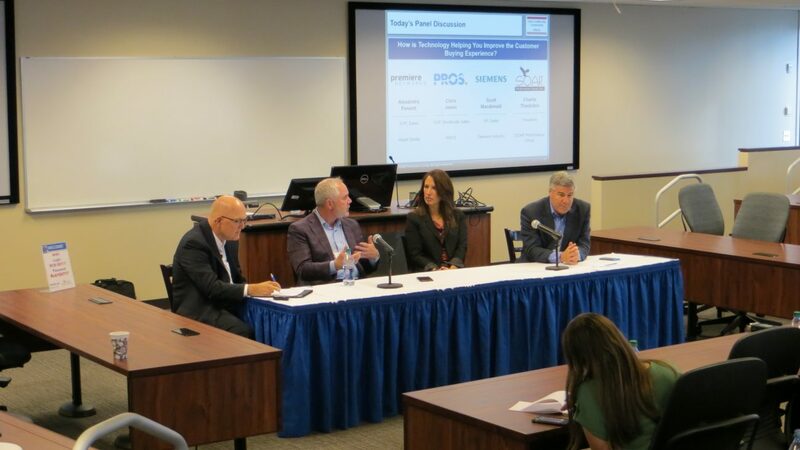 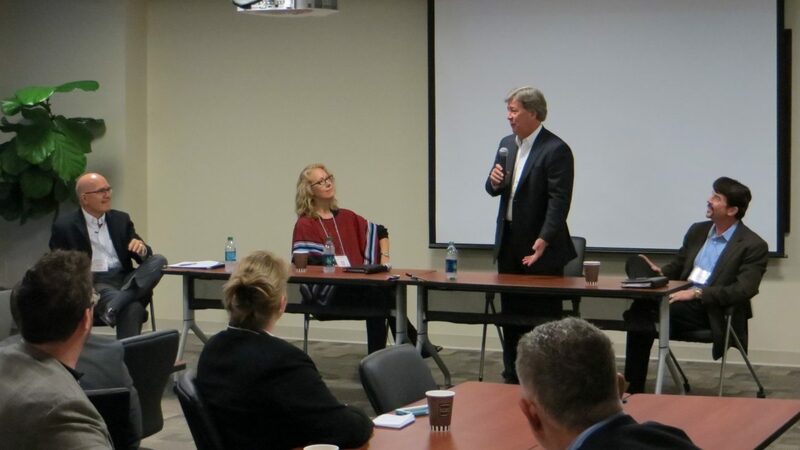 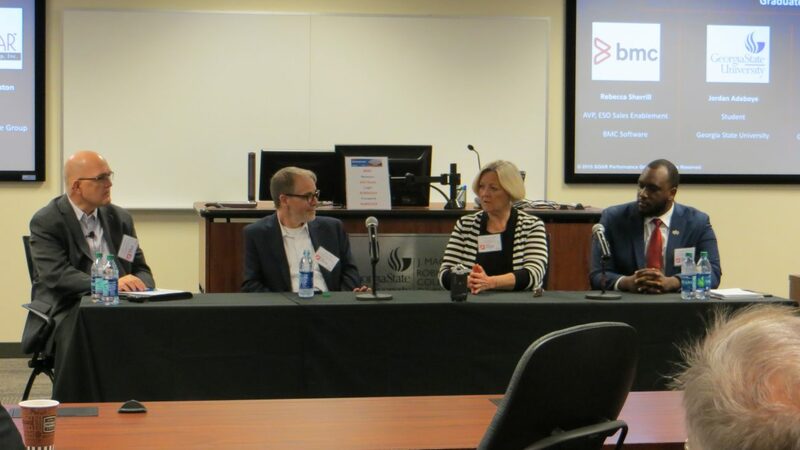 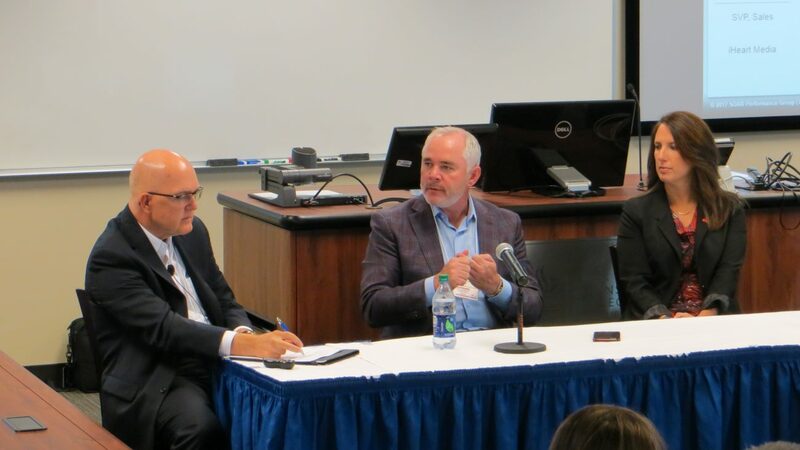 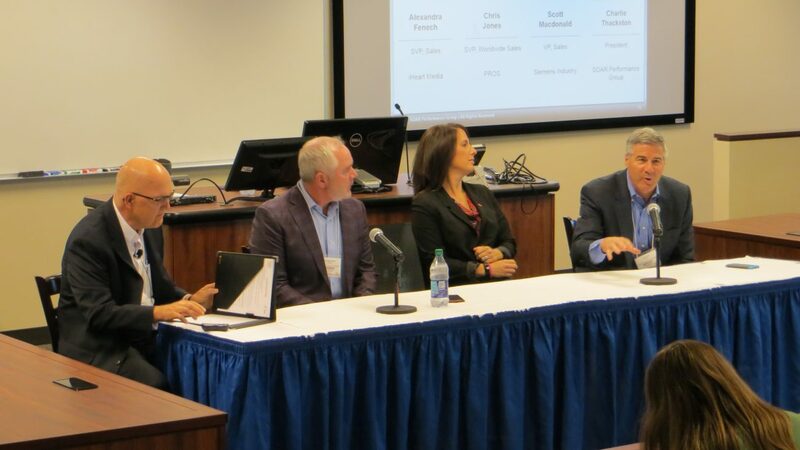 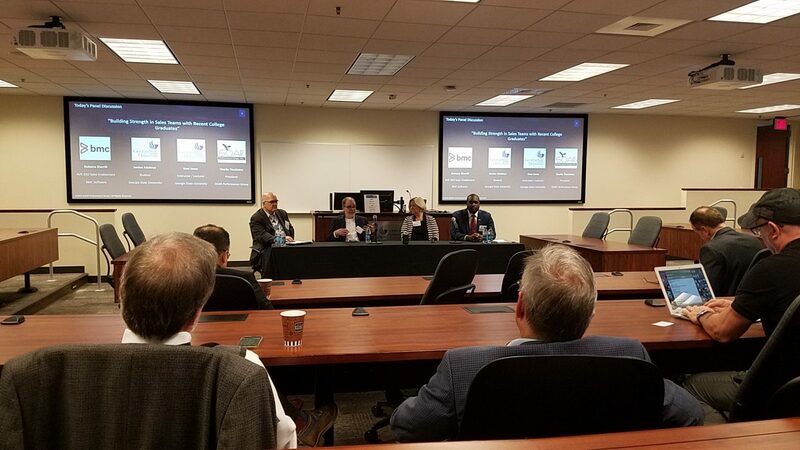 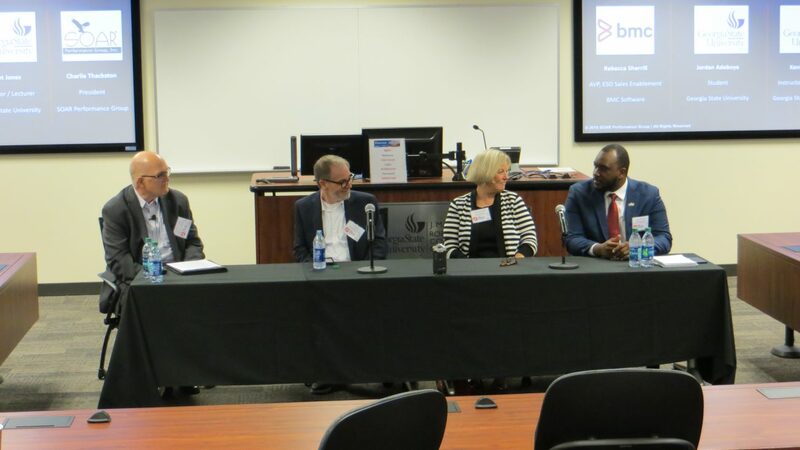 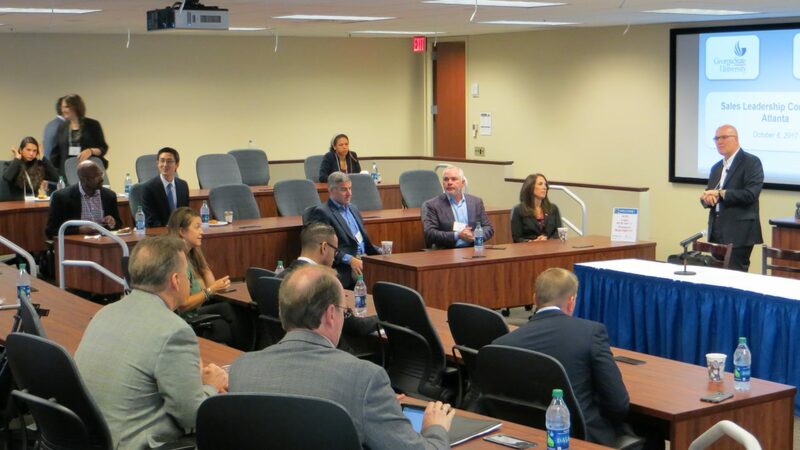 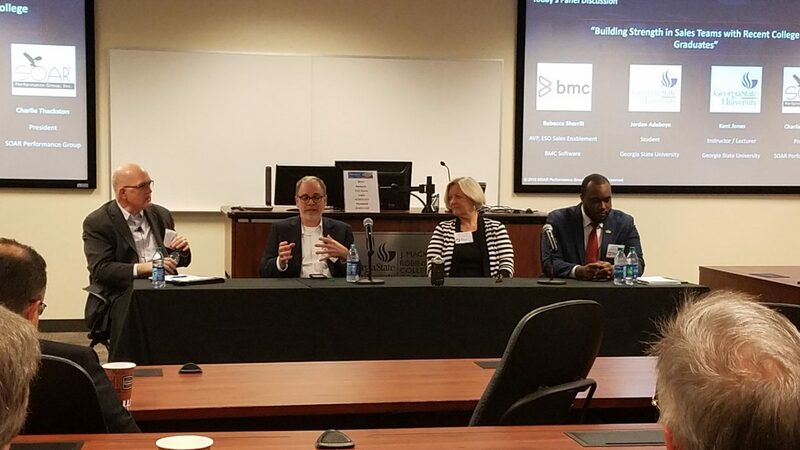 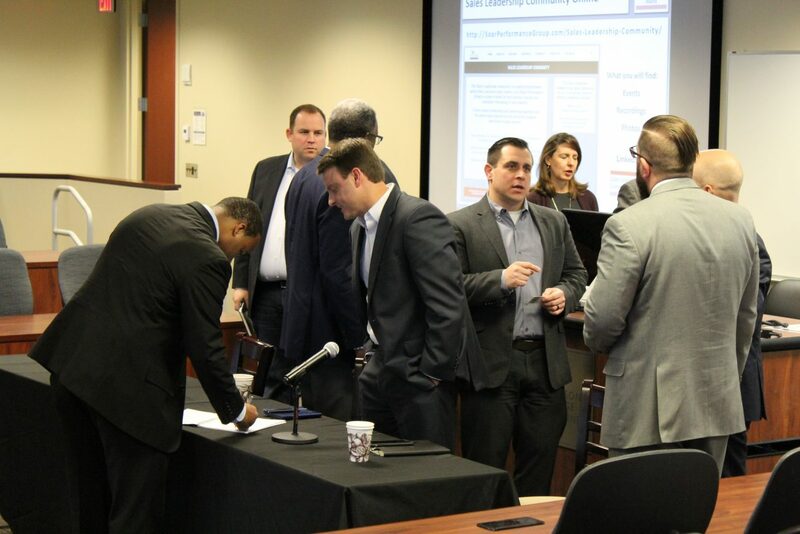 Panelists Chris Jones (SVP, PROS), Marty Fagan (SVP, TransUnion), and Dean Nolley (VP, Ricoh Americas) discussing a question about balancing leading and managing posed by moderator Charlie Thackston (President, SOAR Performance Group) at the Sales Leadership Community Atlanta event on May 6th, 2016 at Georgia State University’s Buckhead Center. 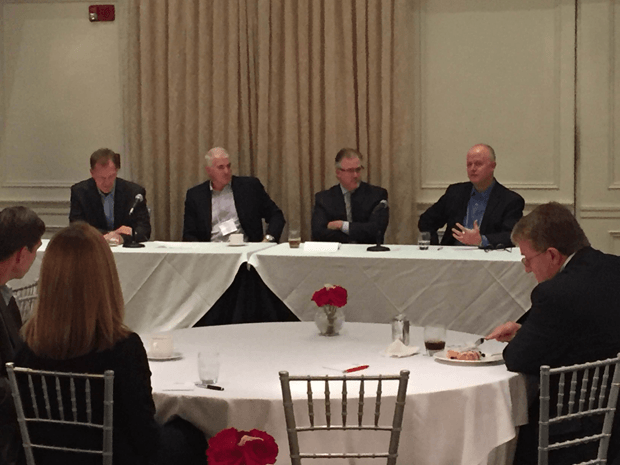 Panelists John Irwin (SVP, AT&T), Ian Drysdale (EVP, Elavon), and Jim Dinkins (CRSO, Coca-Cola North America) discussing a question about the rate of change posed by moderator Charlie Thackston (President, SOAR Performance Group) at the Sales Leadership Community Atlanta breakfast on February 5th, 2016 at Northcreek Conference Center. 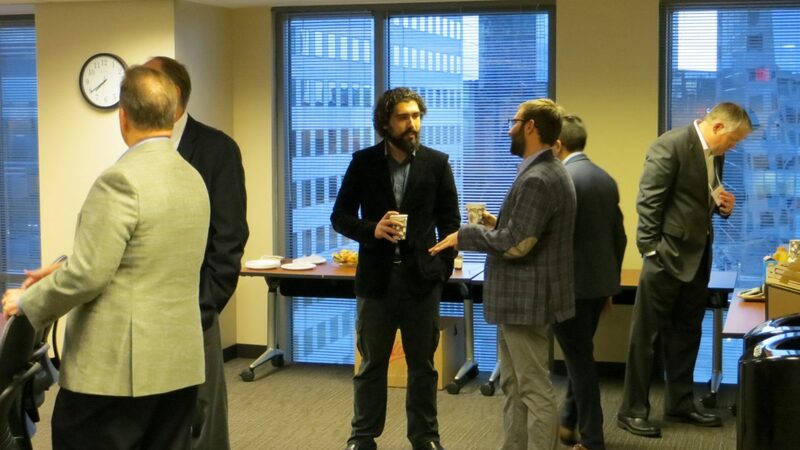 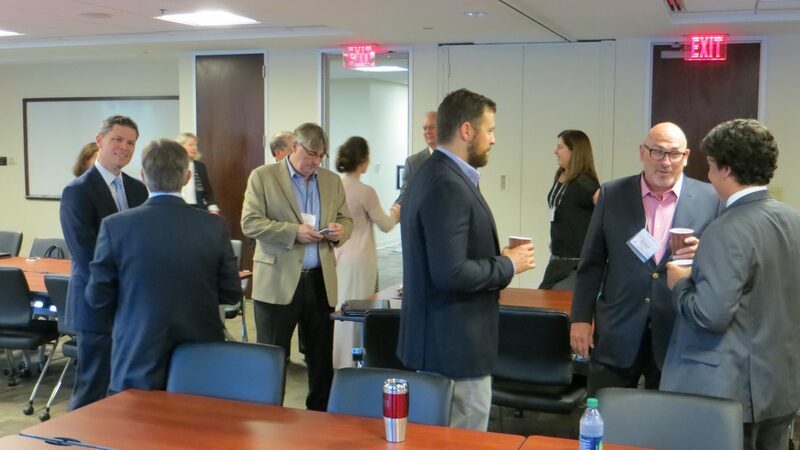 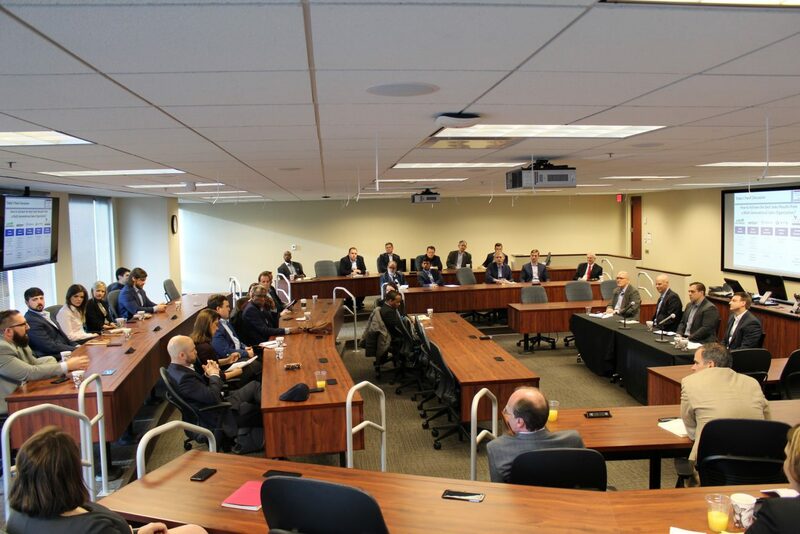 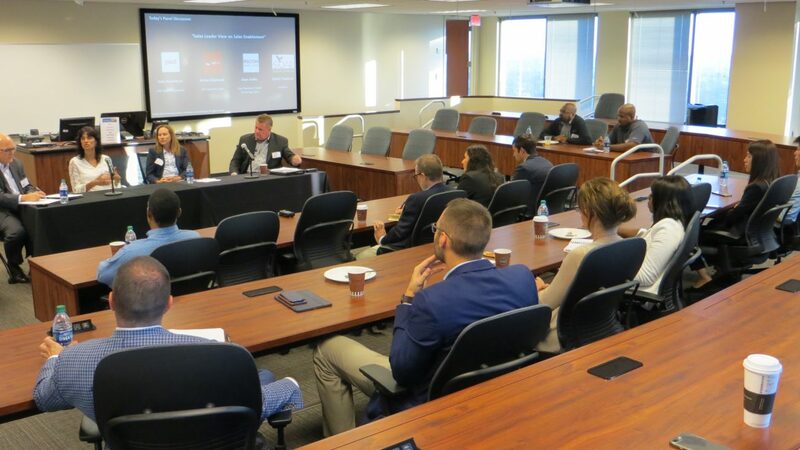 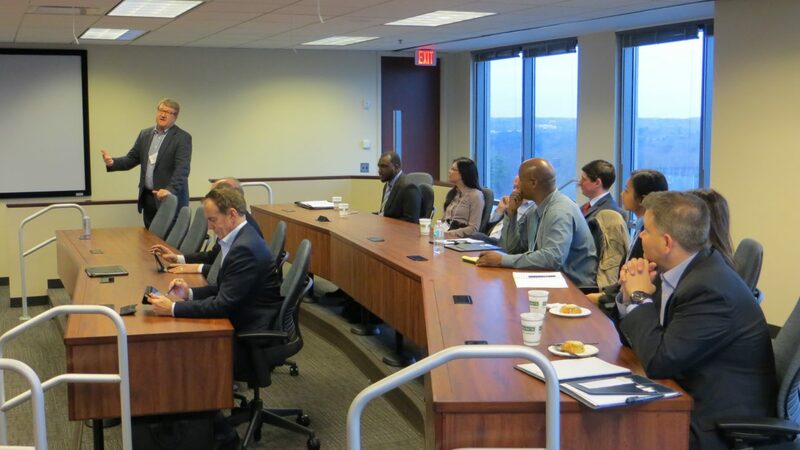 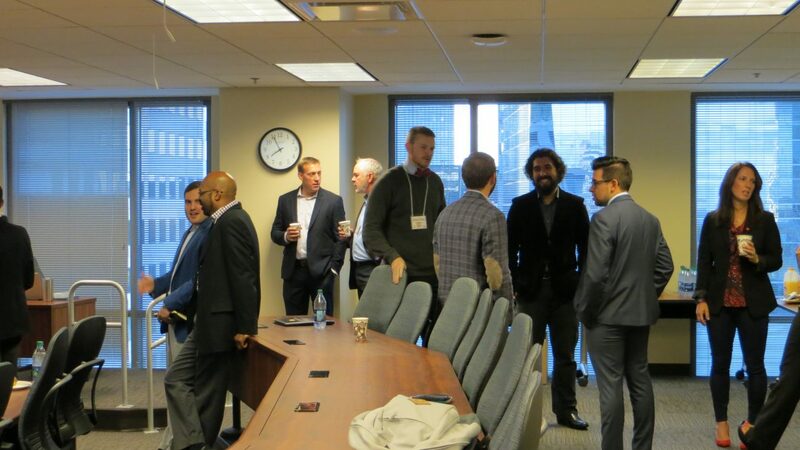 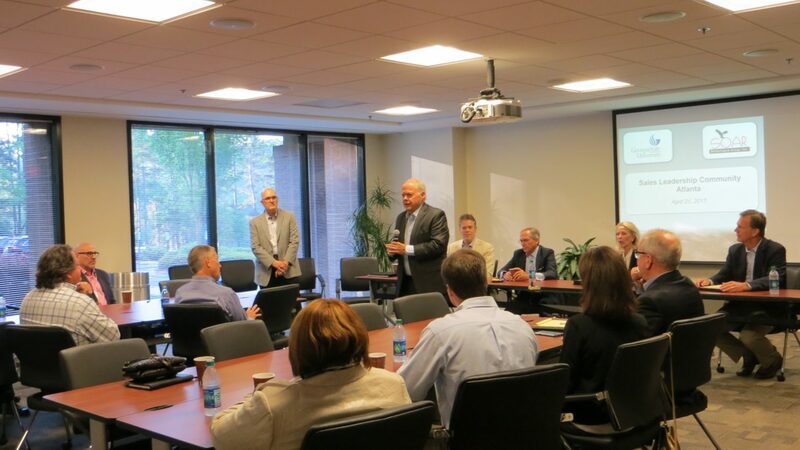 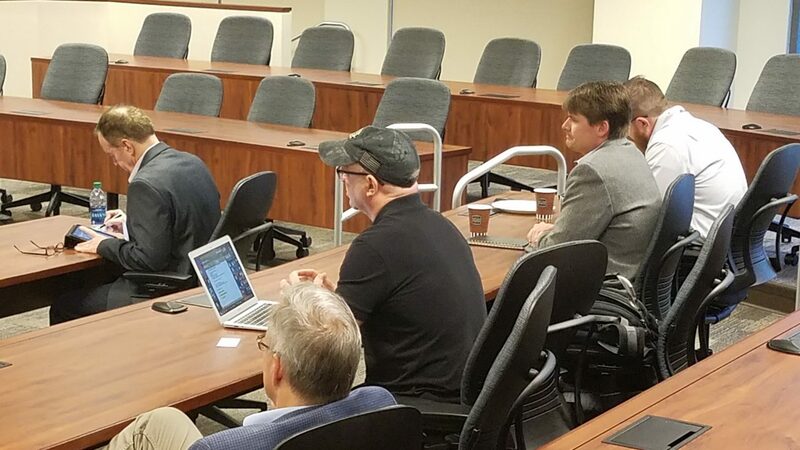 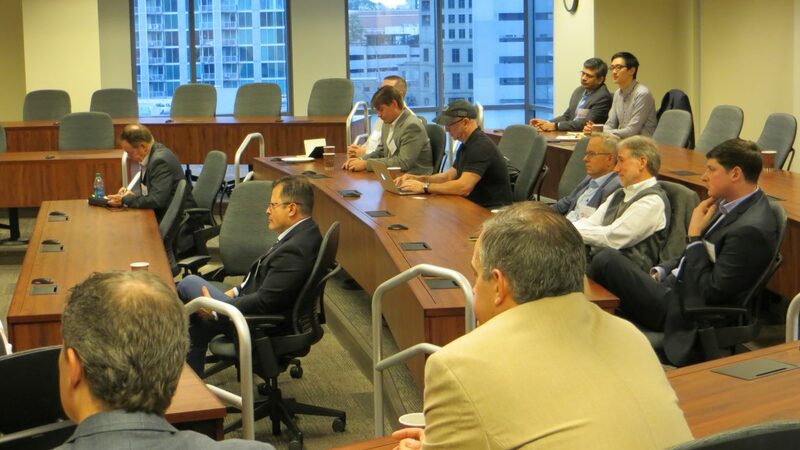 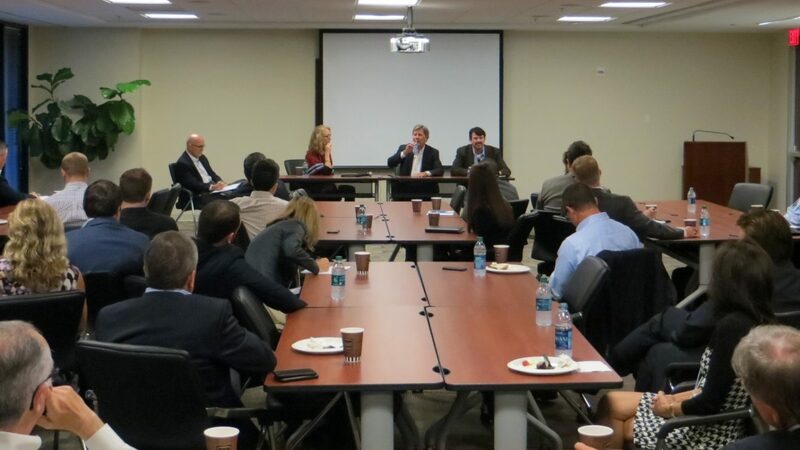 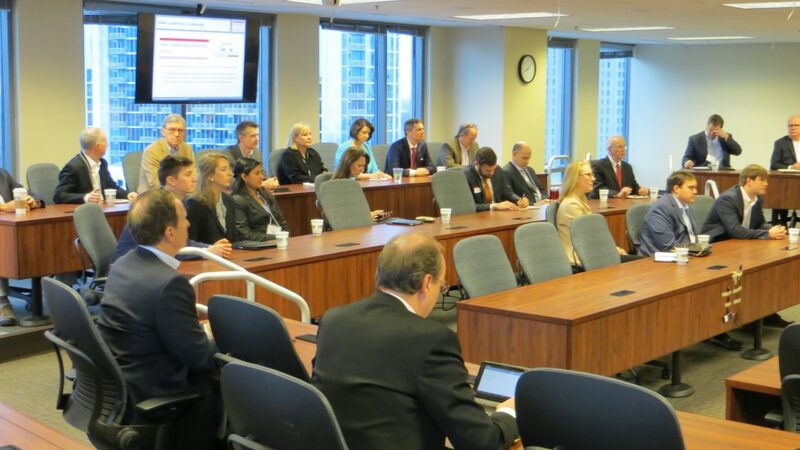 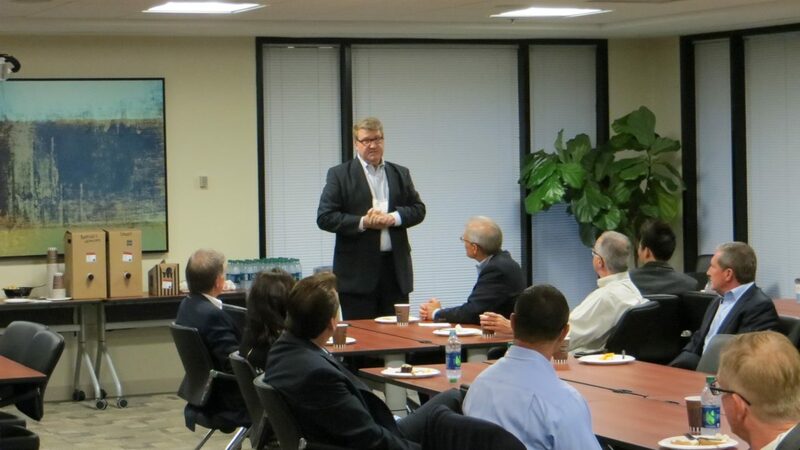 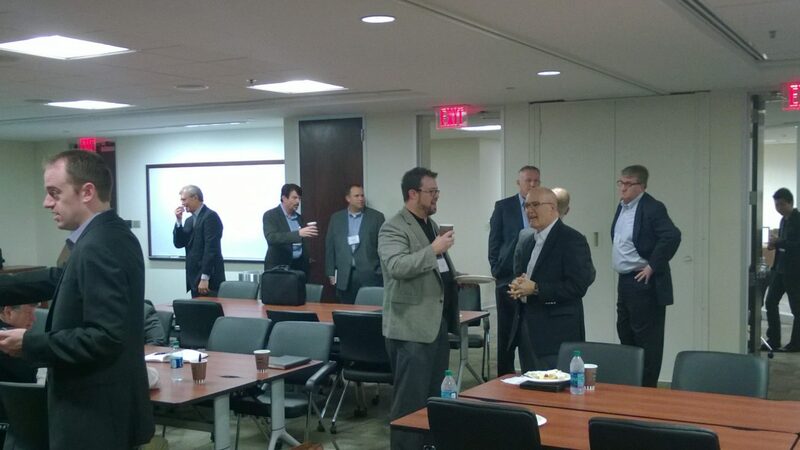 Panelists Craig Potts (Executive VP, Navicure), Mike Hayes (Senior VP, Georgia Pacific), Heath Morgan (VP, IBM) and Kyle Bowker (Executive VP, Aptean) discussing a question on innovation at the Sales Leadership Community Atlanta breakfast on October 2nd, 2015 at 103 West. 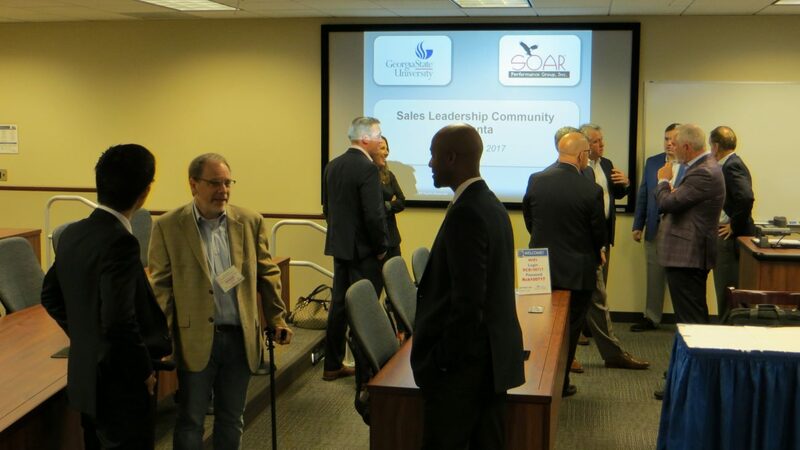 The Atlanta Sales Leadership Community was co-founded by Georgia State University and SOAR Performance Group to create a forum for best practice sharing and executive networking within the greater Atlanta area. 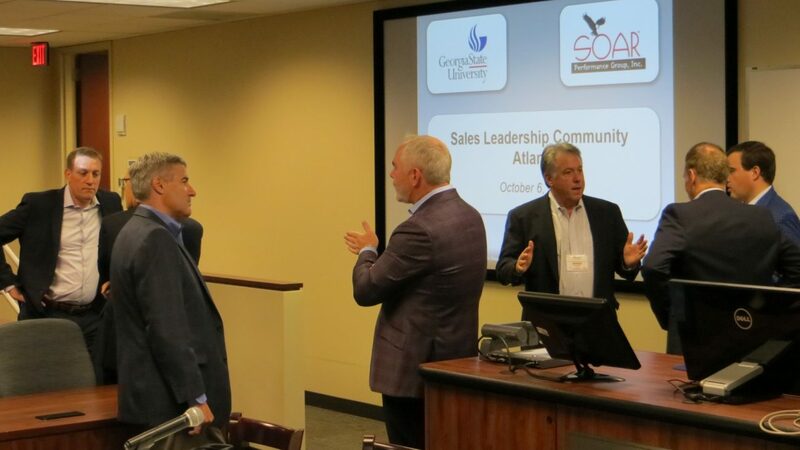 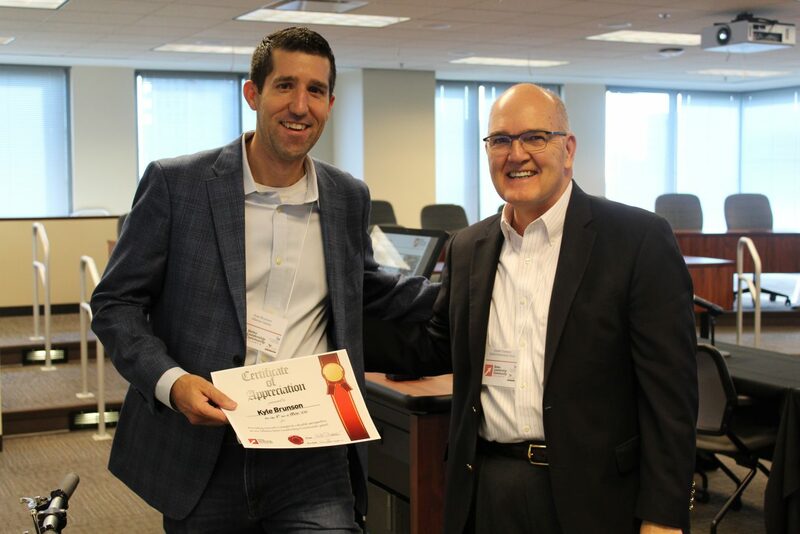 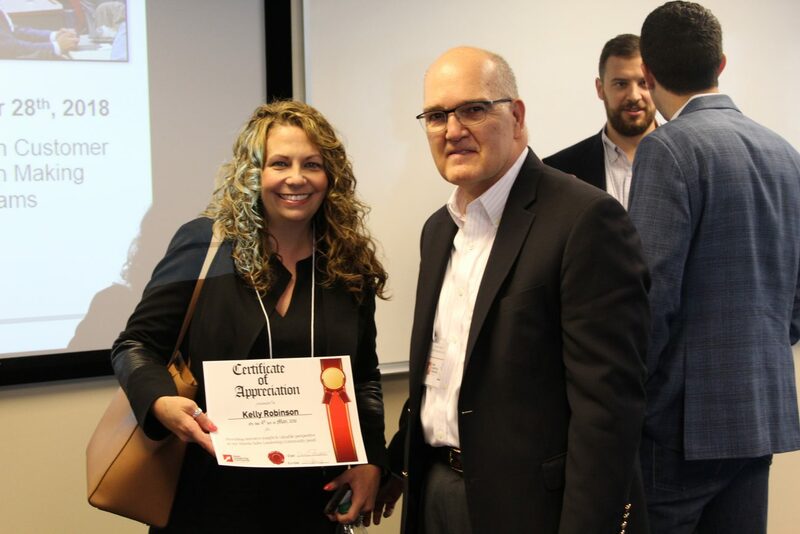 The community is a cross industry organization of senior sales leaders focused on building a community within the Atlanta market for advancing best practices in sales leadership. 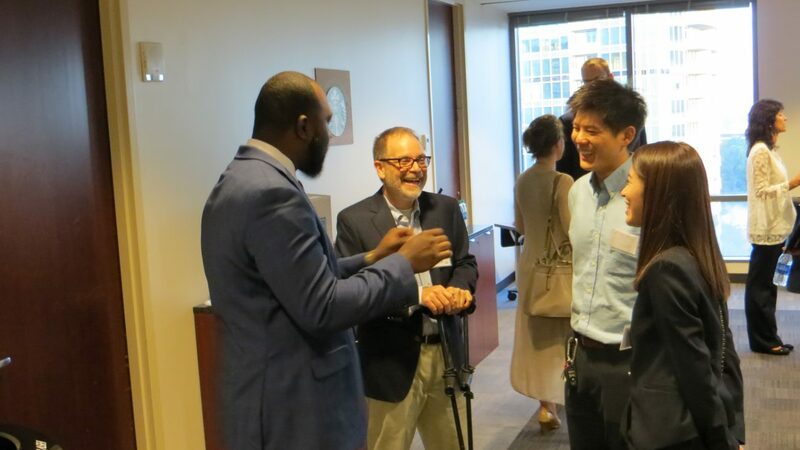 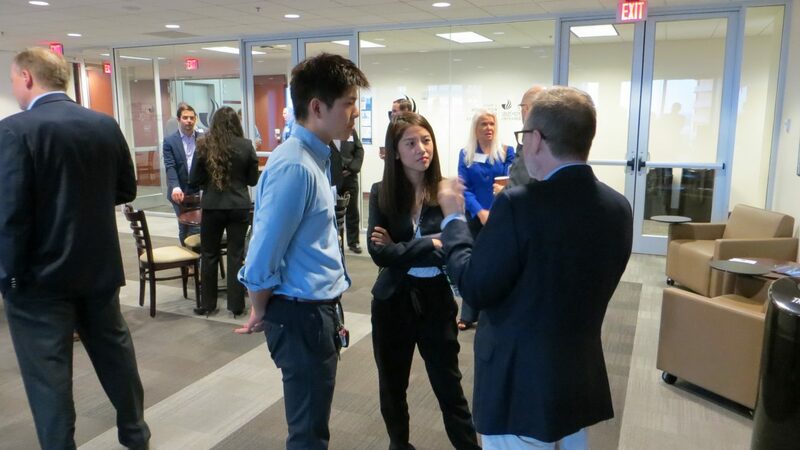 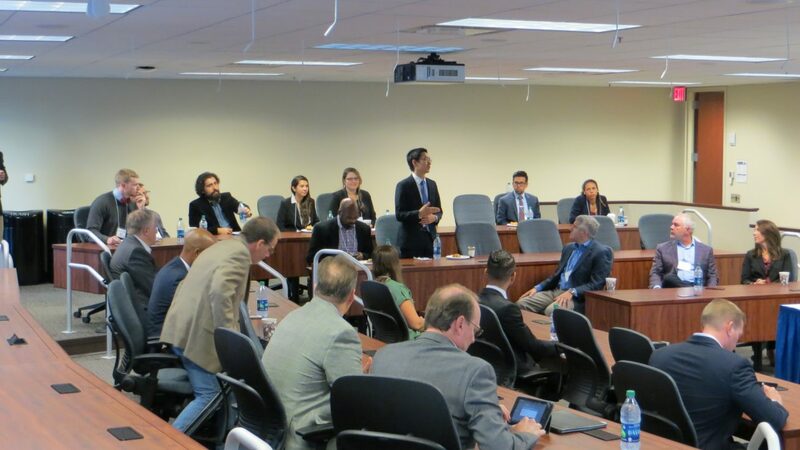 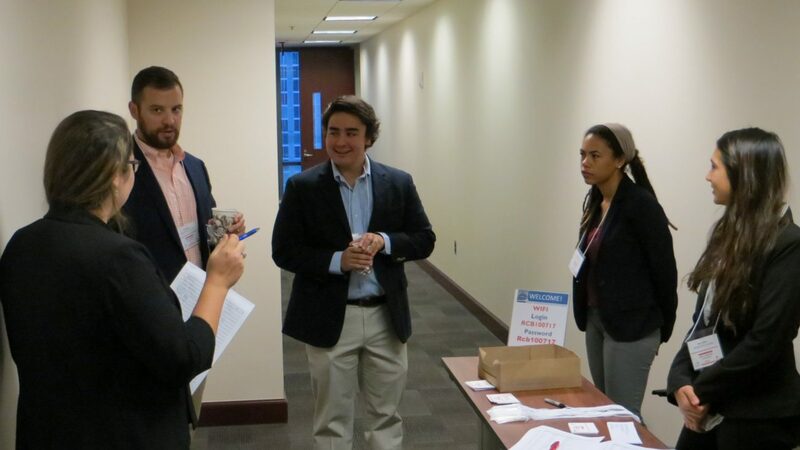 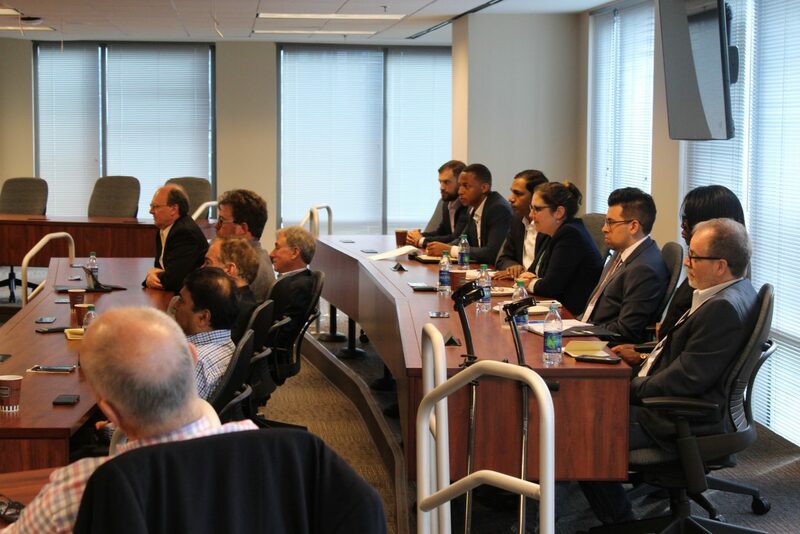 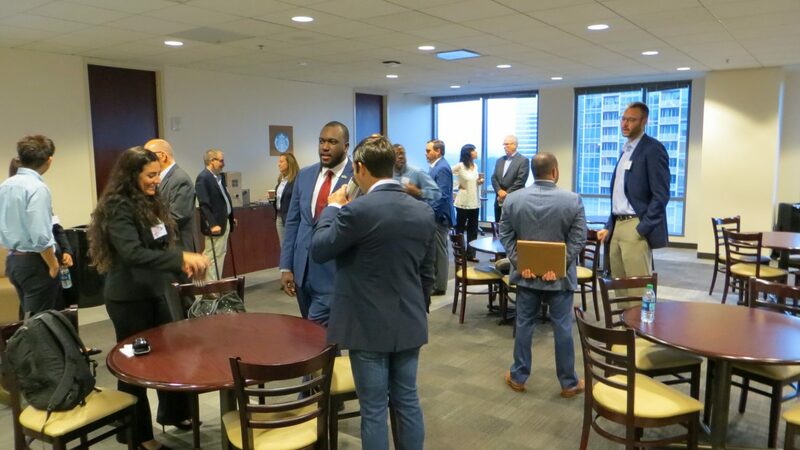 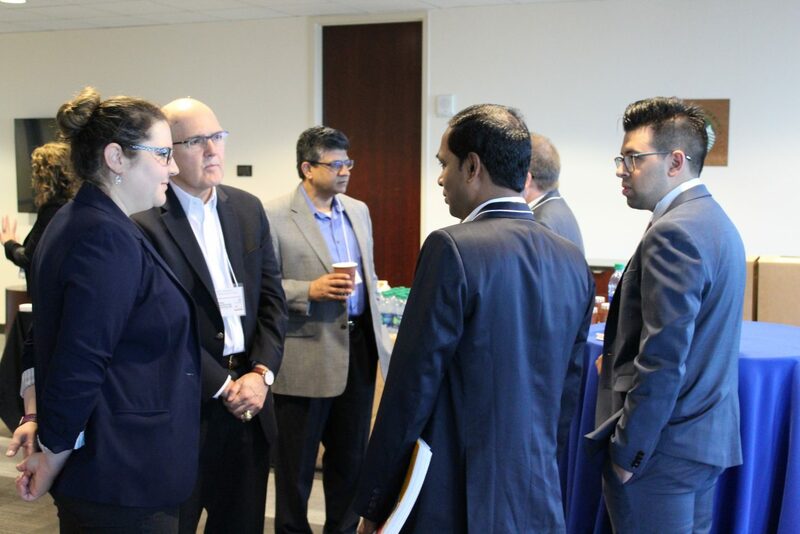 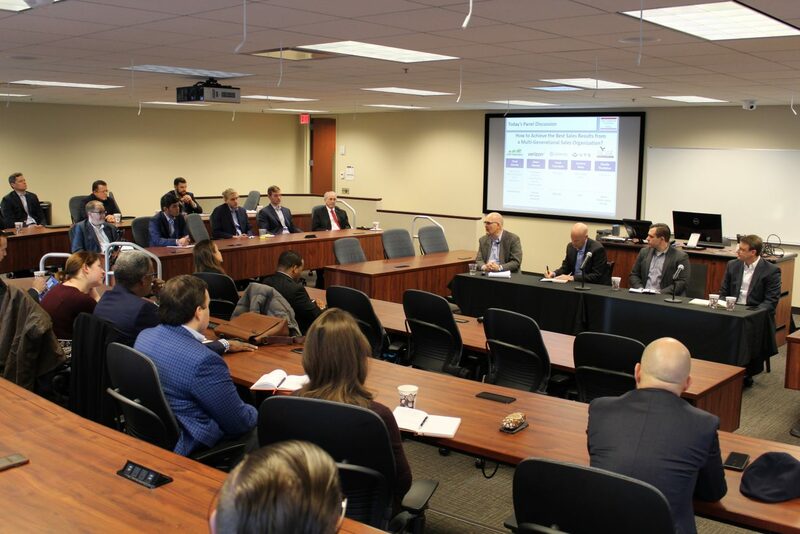 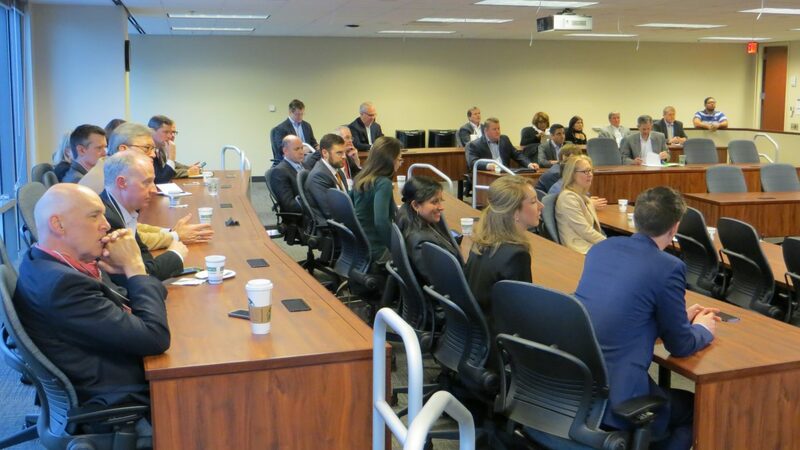 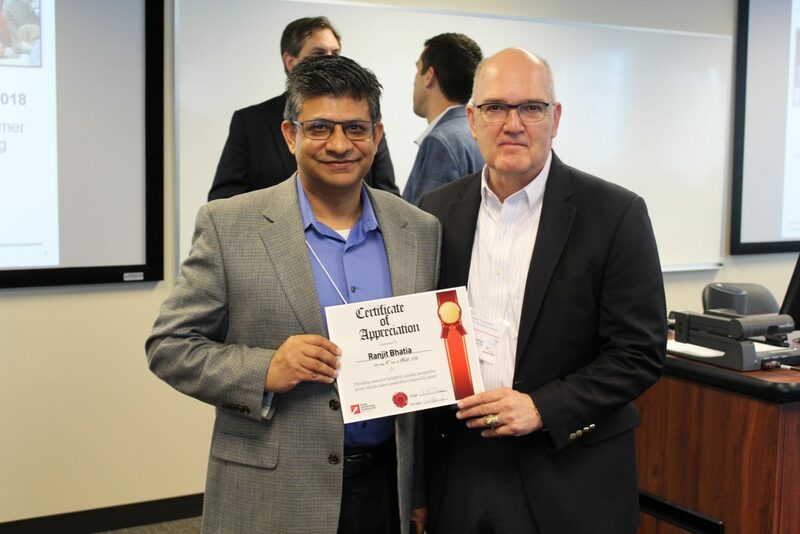 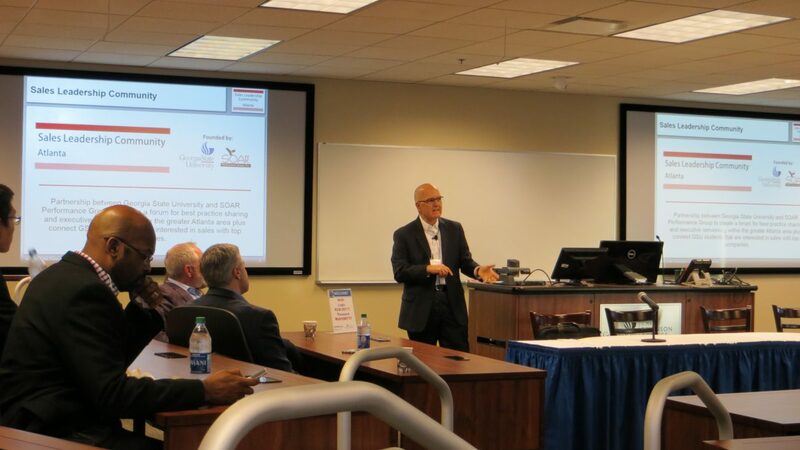 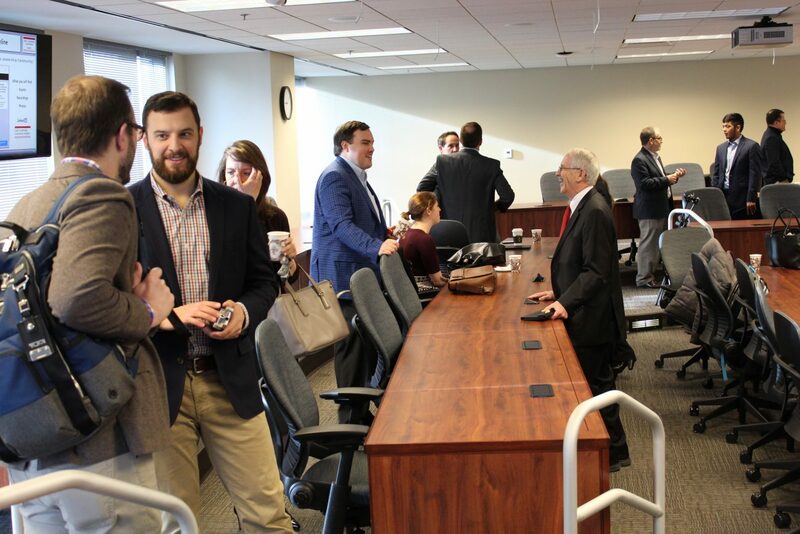 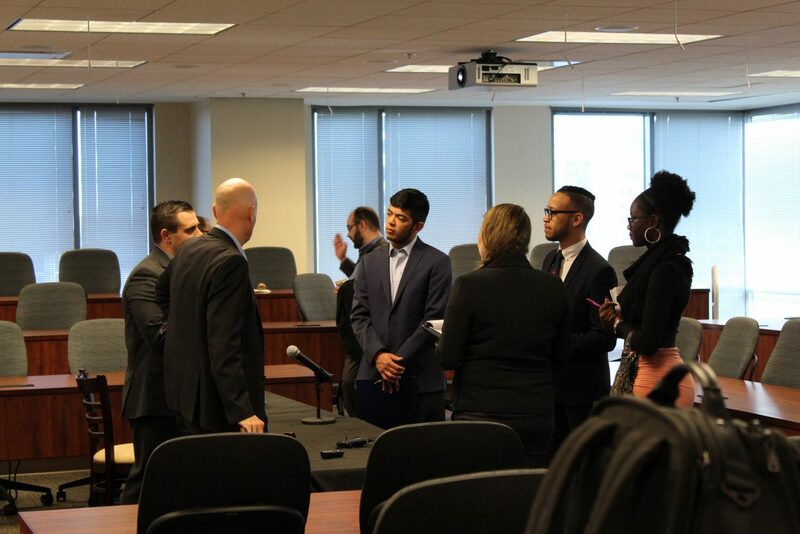 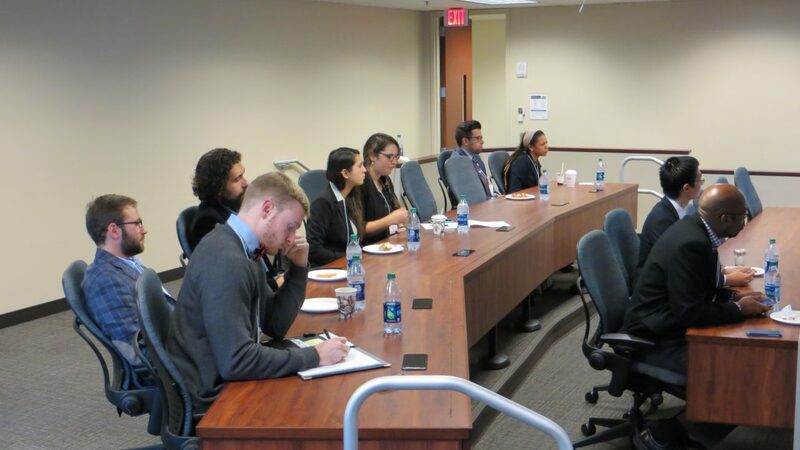 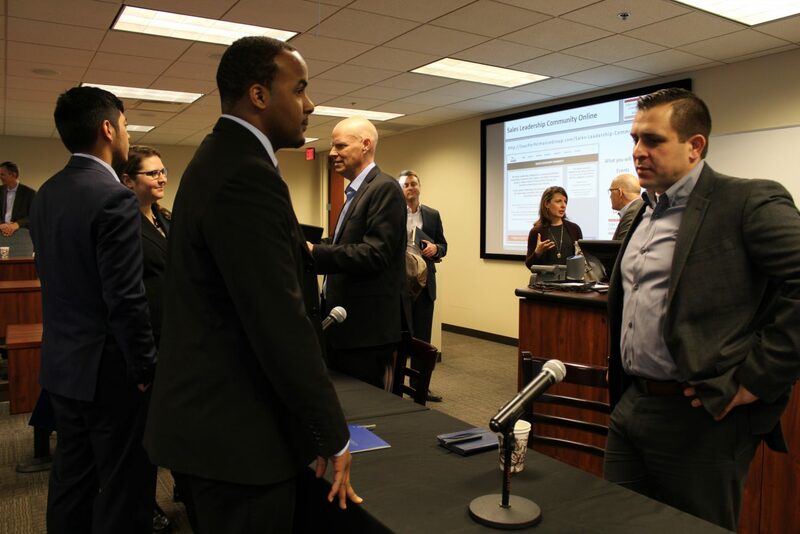 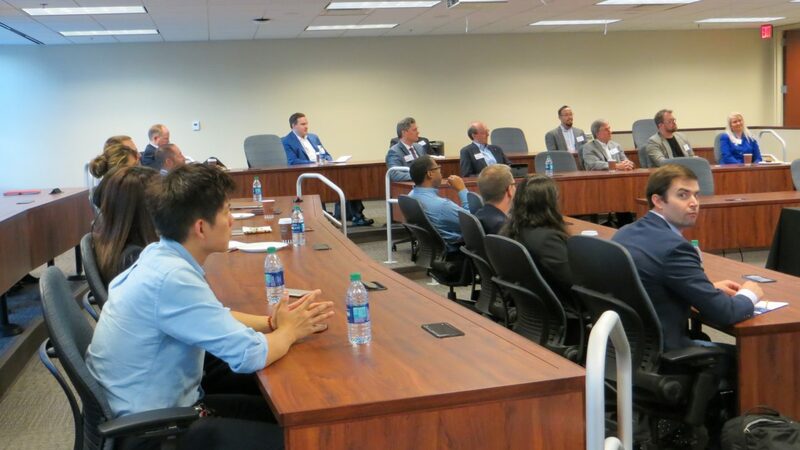 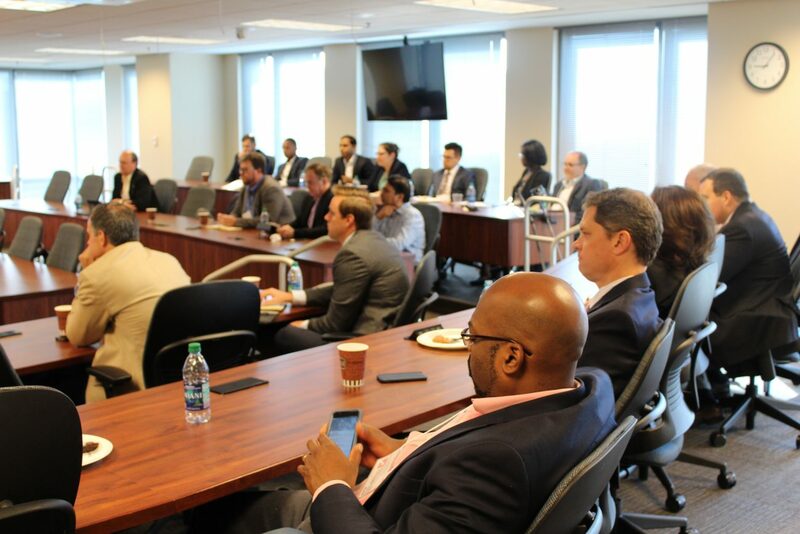 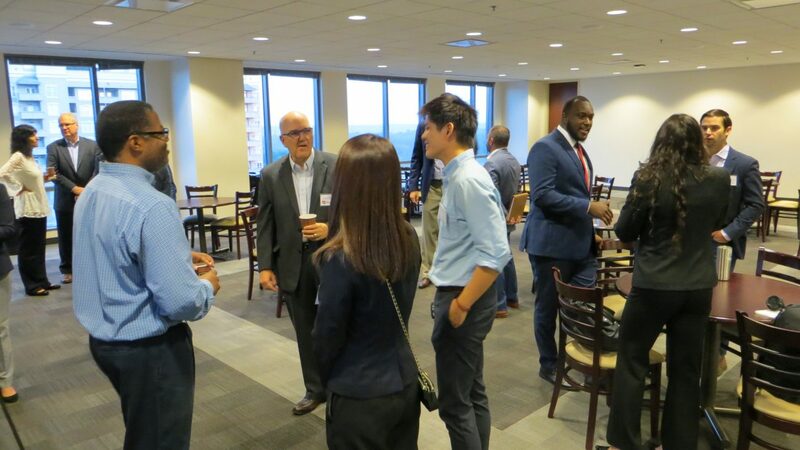 It also creates networking and mentoring opportunities for Atlanta senior sales executives with Georgia State University students participating in the Georgia State University Sales Program. 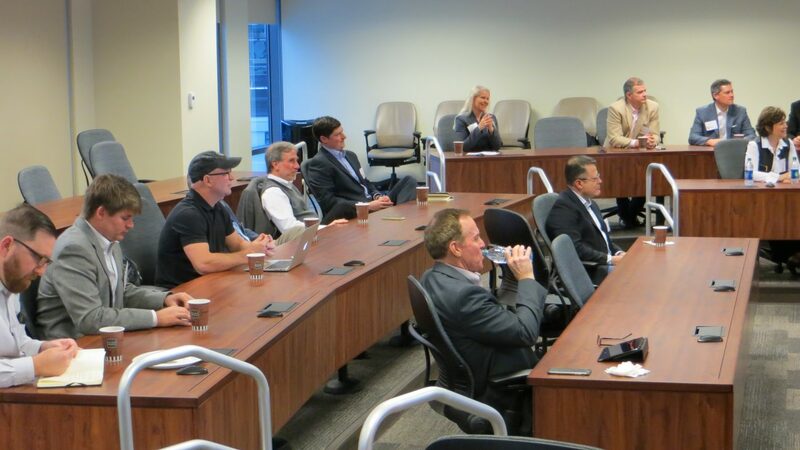 The community is led by the advisory board with representatives from companies that represent different industries and go-to-market models.